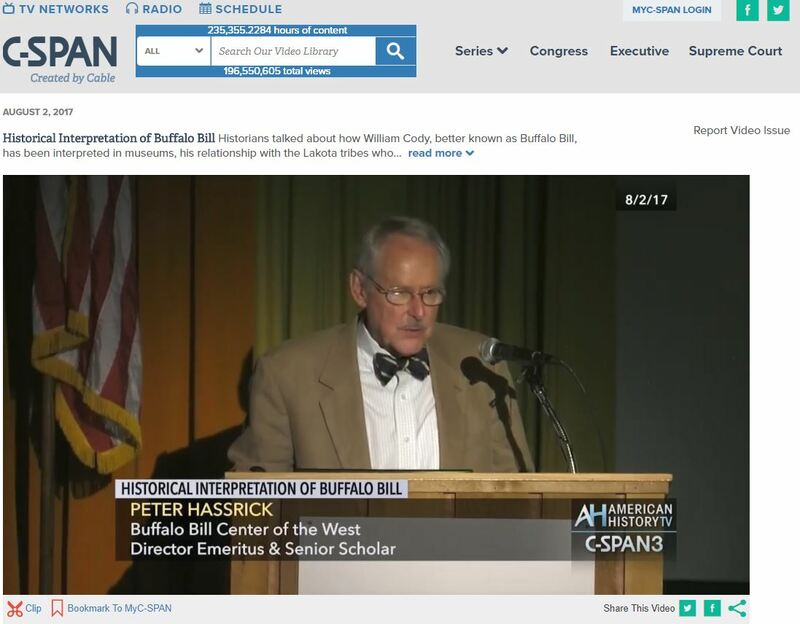 The Buffalo Bill Center of the West is a 501(c)-3 non-profit organization that relies on support from individuals for general operations as well as special programs, projects, and exhibitions. Every dollar you give brings the American West alive! 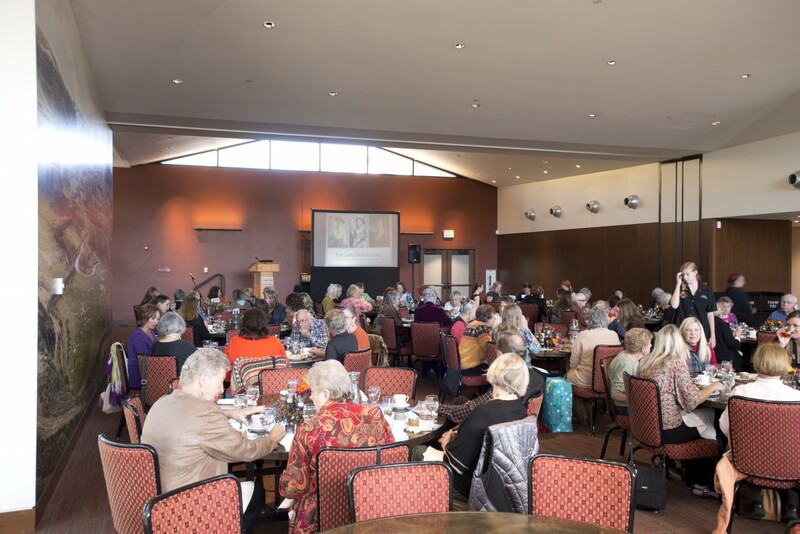 In honor of our centennial, we created the slideshow below to highlight one hundred different Center components your gift impacts. 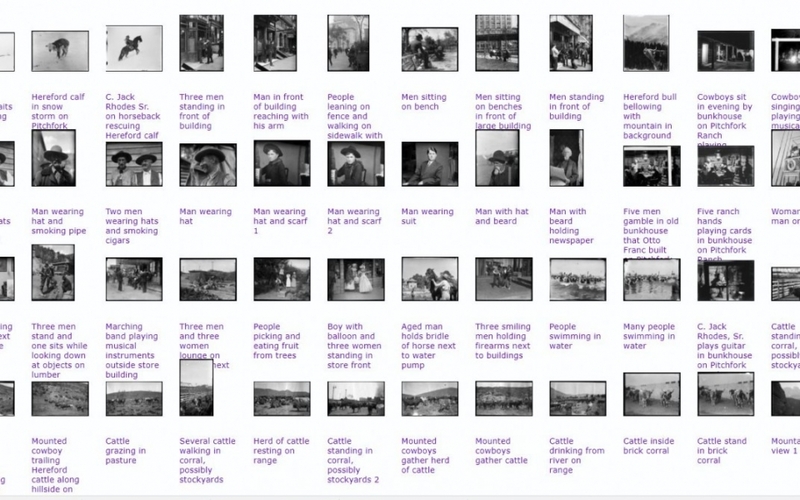 Many thousands of photos are preserved in physical and digital form by the McCracken Research Library. Invaluable as a visual history of the West! 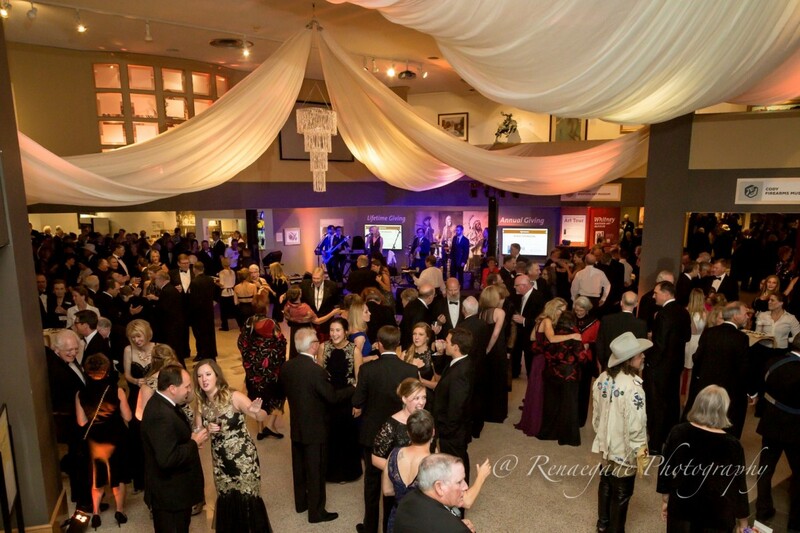 The Patrons Ball is the longest running individual fundraiser for the Center, and attracts guests for an elegant night of fine dining, dancing, and socializing - all within the confines of our galleries and hub area. For many lifelong supporters, this fun evening served as the first introduction to the Center! 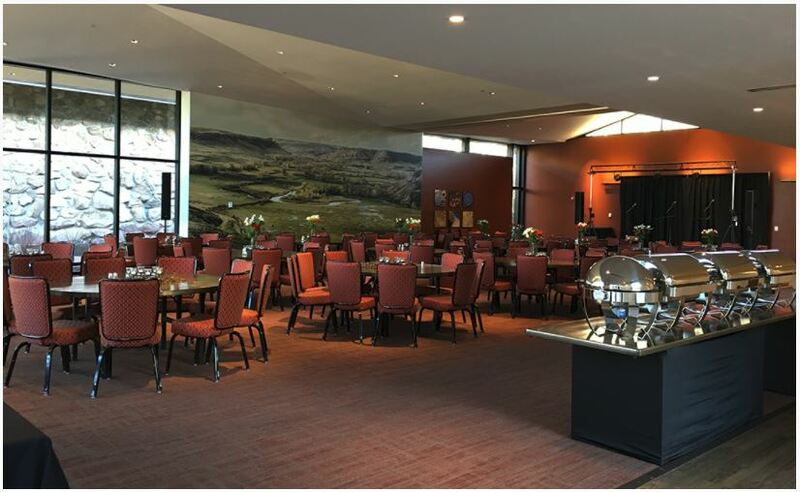 With up-to-date AV equipment, onsite catering, and unique add-ons like gallery access and live raptor guests, outside entities can rent space at the Center for truly memorable events. The Center holds the original factory ledgers for the Winchester, Marlin, and LC Smith production runs. The Records Office provides information to firearms collectors and owners of historic pieces to help them validate the authenticity and original condition of their firearms. Our parking lots must be regularly resurfaced so that the Wild West experience begins once you step outside your vehicle. 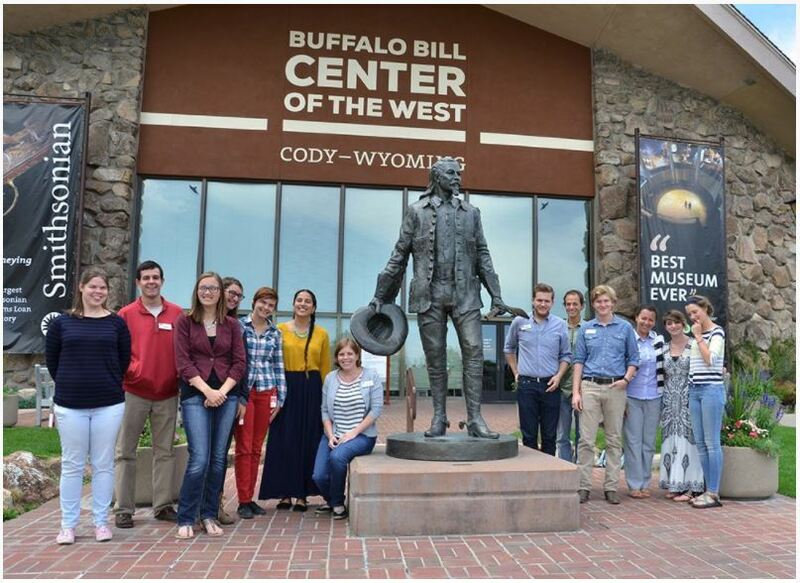 Western scholars gather at the Center each year to discuss important topics and present new ideas related to western art, firearms, natural history, and Buffalo Bill. 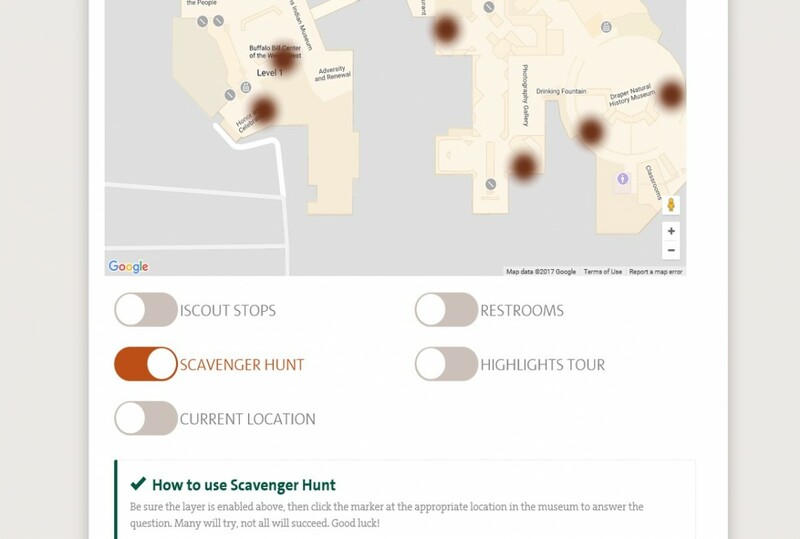 Who doesn't love a good scavenger hunt? 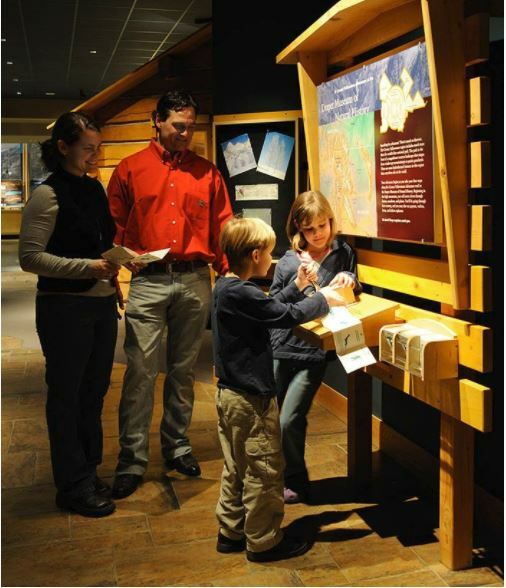 Center visitors can choose to use paper instructions or use their own smartphones, focus on one museum or venture throughout the whole Center! Whether we're studying newly-discovered petroglyphs or cleaning ichthyosaurus fossil remains, we work cooperatively with state departments like the National Forest Service and Bureau of Land Management to give back and help build Wyoming's history. Clear plexiglass, installed in every gallery, offers protection from visitors who can't help but touch, lean and sneeze on things while they're here! It's a necessary barrier which requires daily disinfecting and regular updates to remain as unobstrusive as possible. What's a trip to the West without an awesome souvenir to remember it by? 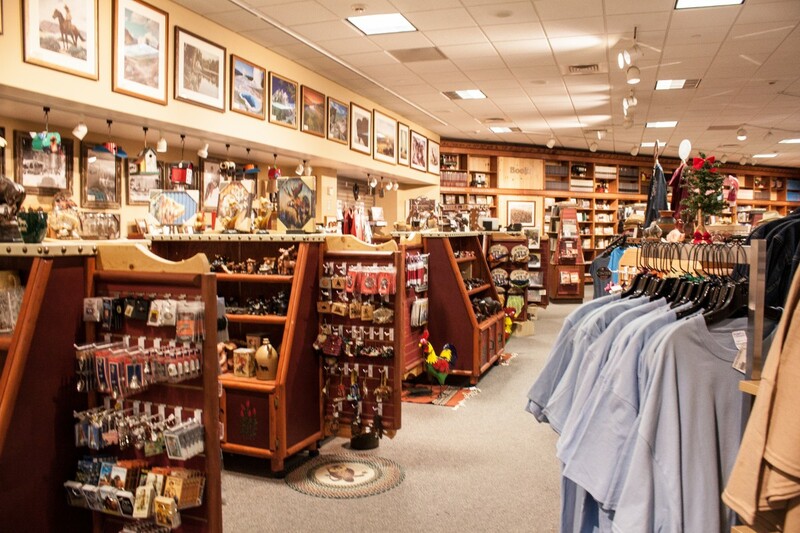 The Center Store has something for everyone in the family - gifts, clothing, prints, jewelry, books, home décor - you name it! 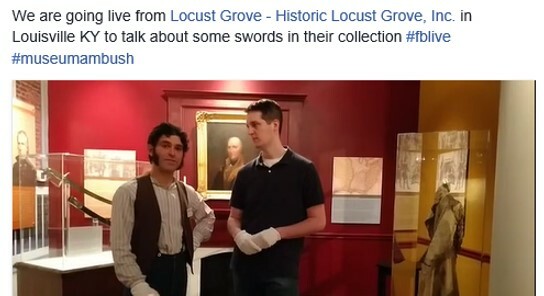 We generously loan out objects to other museums for temporary exhibitions. 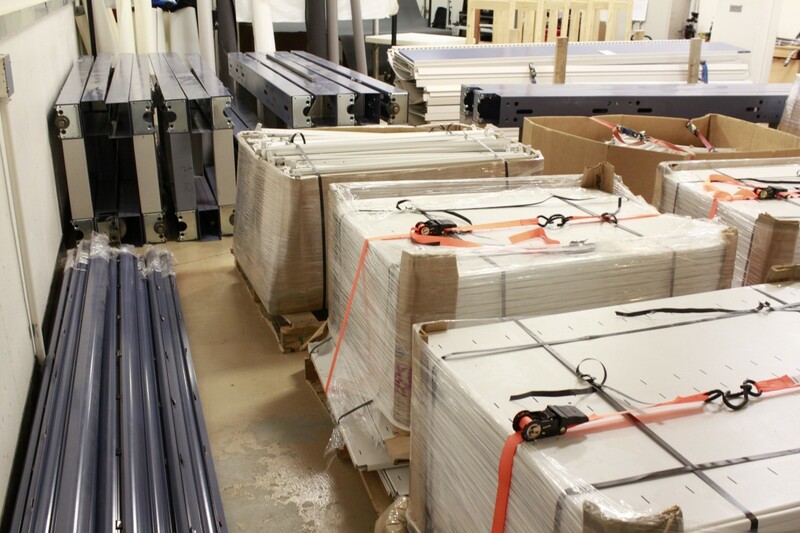 Each object requires a custom-built crate to prevent damage during transport. Your Favorite Works of Art! 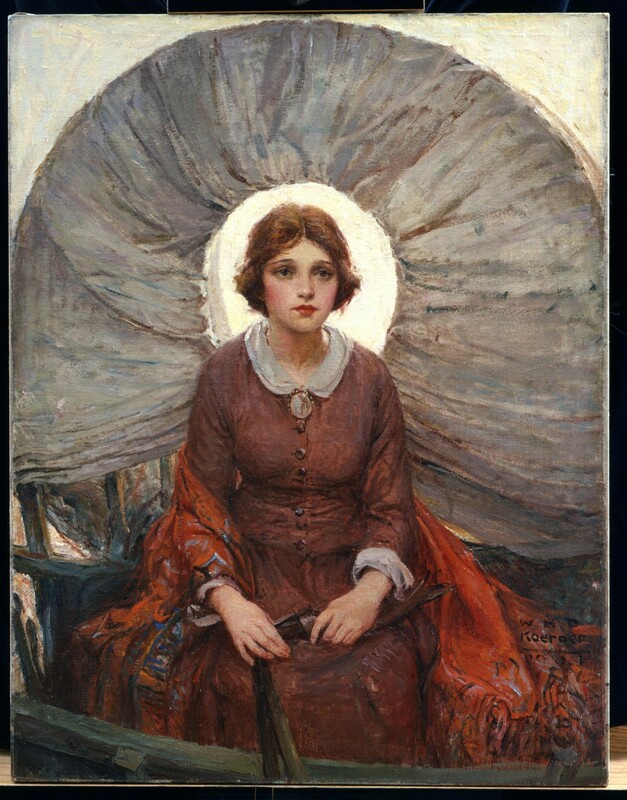 Maybe this is your favorite piece of western art or maybe it's one of several thousand others in our collection. Donate today so that future patrons (ones with good taste anyway) can be equally delighted. 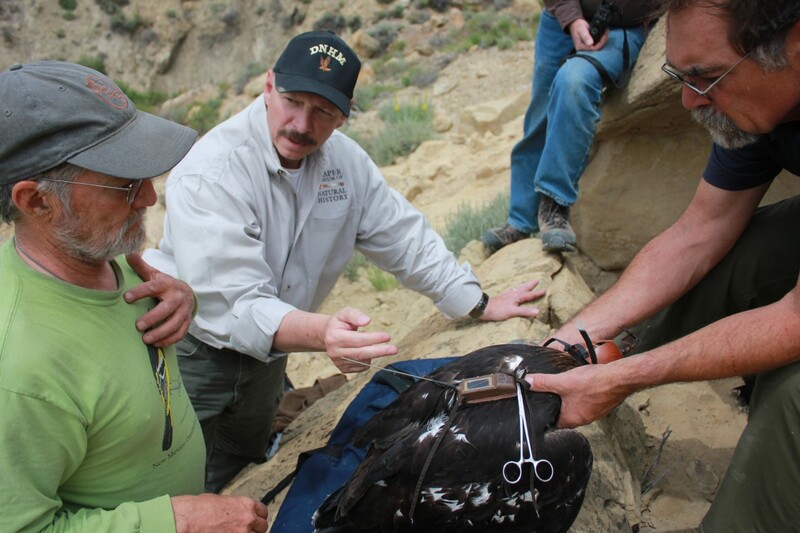 A corps of citizen science volunteers — the Golden Eagle Posse — assist with nest monitoring efforts and other aspects of the East Yellowstone Raptor Initiative. Their research will be featured in the upcoming Monarch of the Skies Exhibition. 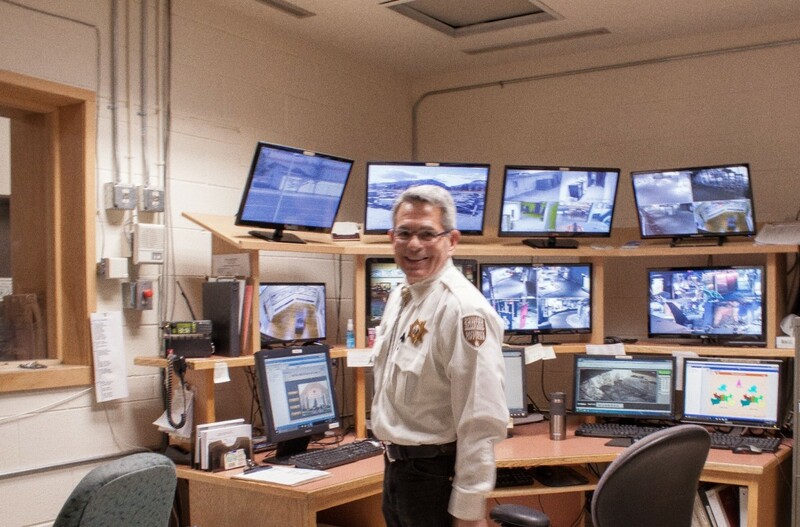 The Center's five museums, library, and special collections require a constant security presence to ensure that the precious objects remain in a safe condition. 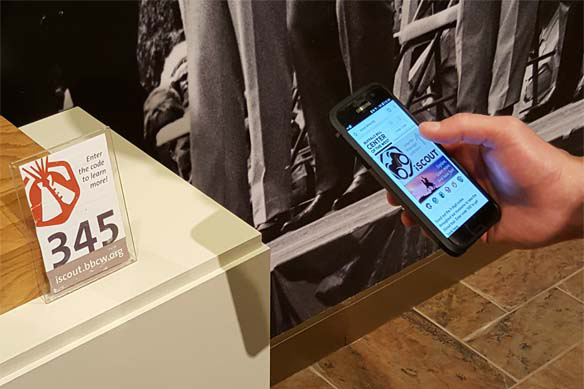 iScout is an easy-to-use web application for mobile phones and tablets that enhances the visitor exerience by going beyond the physical space of our museums. iScout provides many more layers of information on selected objects and exhibits throughout the entire Center for onsite visitors and can also be accessed online anywhere in the world! 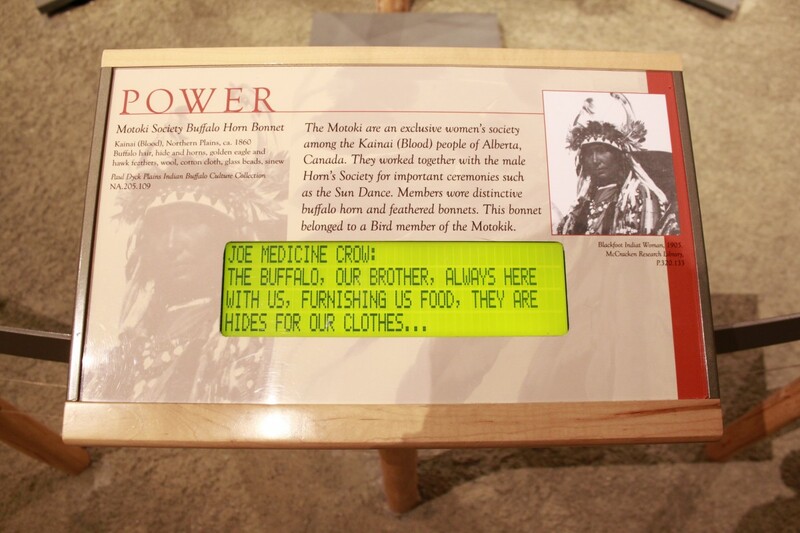 The Center uses screens for interactive displays, signage, donor recognition, introductory comments, historical film footage, checking your e-mail, and more. Screens may be expected by today's visitors but they're not free! 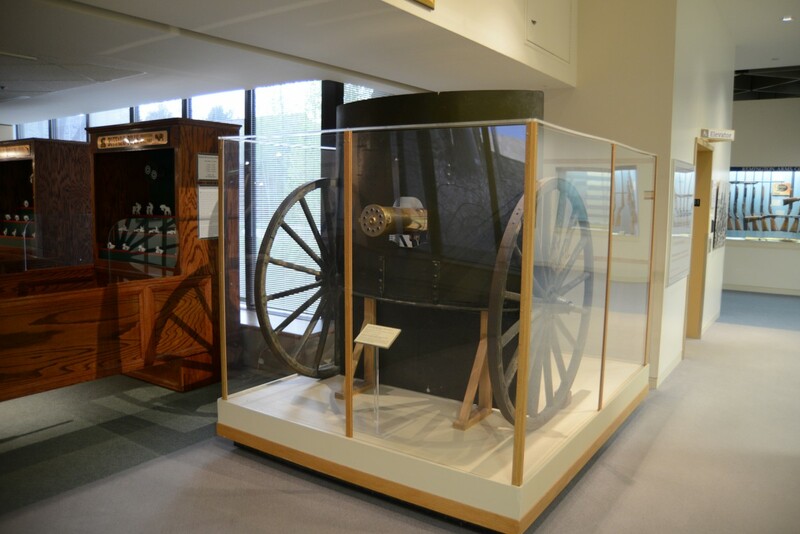 Acquired in 1999, this Colt Patent Firearms Manufacturing Co. gatling gun is a staggering sight to visitors as they enter the Cody Firearms Museum. The 1883 Model Gatling gun is a testament to the technological innovation of its time and the frightful sight this must have been on the battlefield. 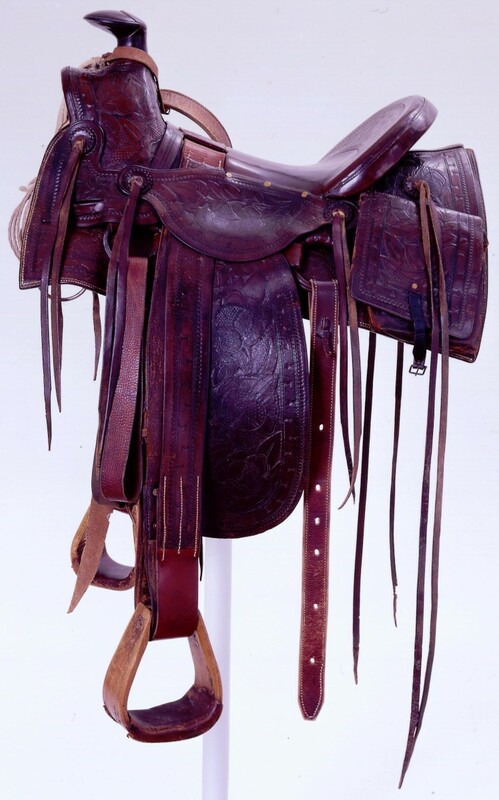 This saddle was owned and used by Teddy Roosevelt on his ranch in North Dakota before his tenure as president. A well used, and well preserved work of art reveals the skill of the craftsman as well as the history of the 26th President. With special endowments by private donors, the MILES Program was established to provide grants to help educators cover the cost of transportation and admission for their students. 5 Museums - one library - one vision. 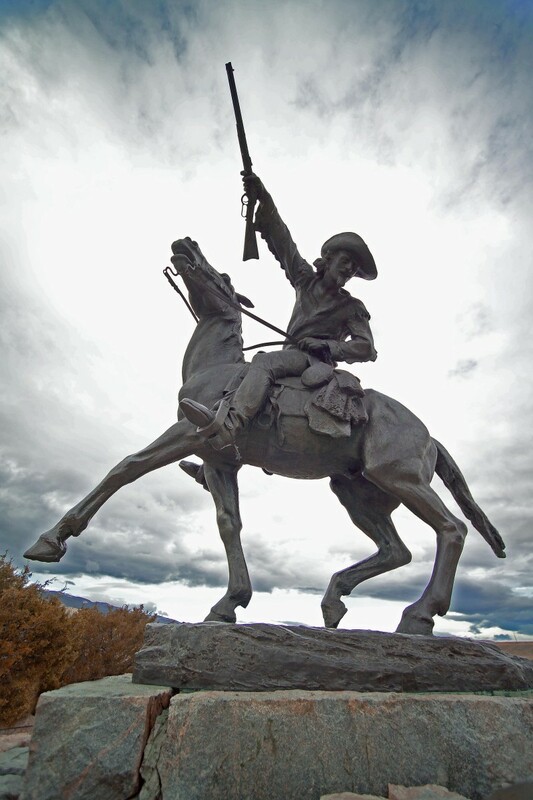 The Buffalo Bill Memorial Association was created in 1917 to preserve and honor the memory and acts of Buffalo Bill, and since then the Center of the West has expanded to maintain the spirit of the American West in many ways that ensure the historic mission remains intact. 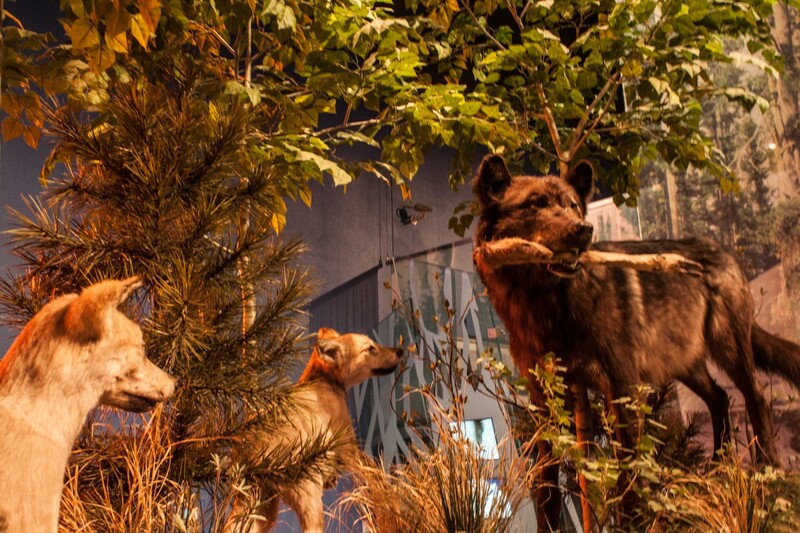 One of the Center's five museums, the Draper Natural History Museum invites visitors to immerse themselves in the natural history of the Greater Yellowstone Ecosystem and consider the relationship between humans and nature. 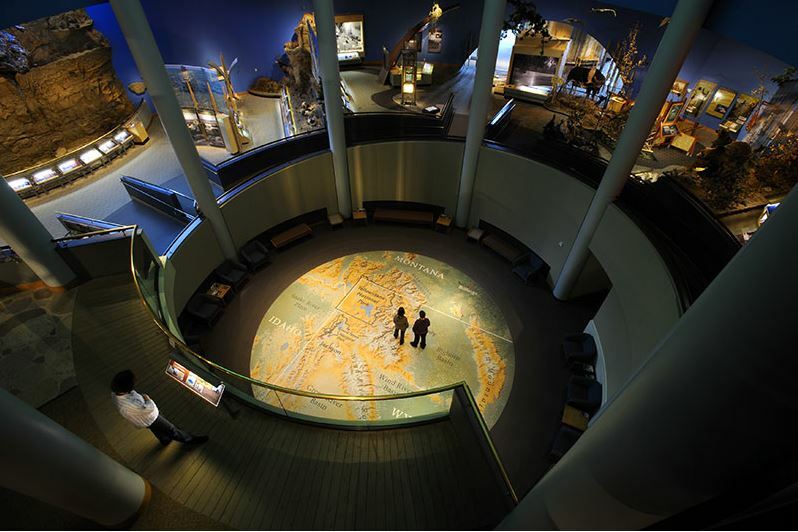 The collections provide opportunities for public education, exhibits, and research. 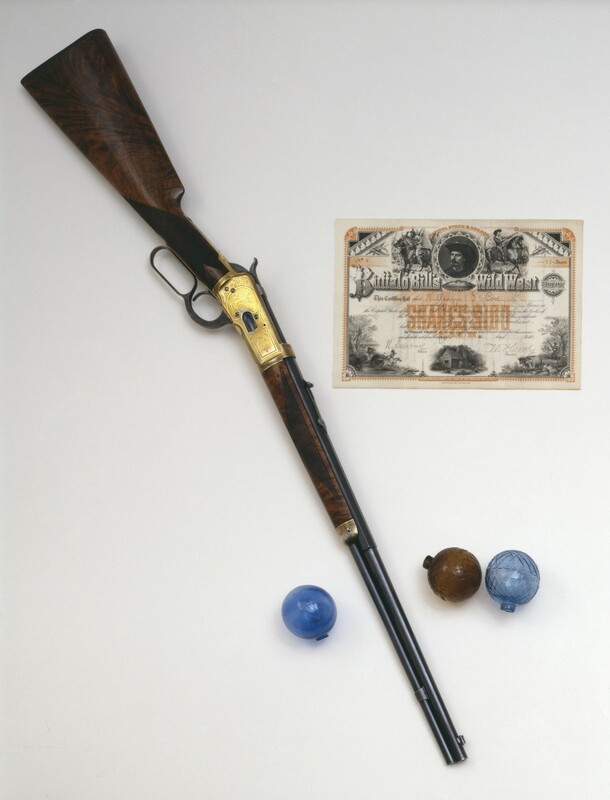 This 1892 model carbine Winchester .32 caliber was owned and used by Annie Oakley. Features include gold finish and artisan engraving of western wildlife scenes and the initials AO added after production. The rifle is pictured here with target glass balls that would be tossed in the air for Annie to shoot! 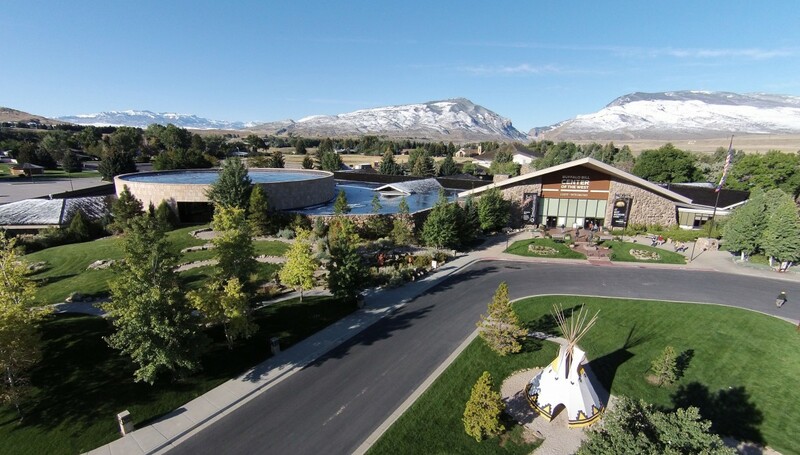 Founded in 1979, the Plains Indian Museum was described best by Dr. Joseph Medicine Crow as, "a living breathing place where more than just Indian objects are on display." 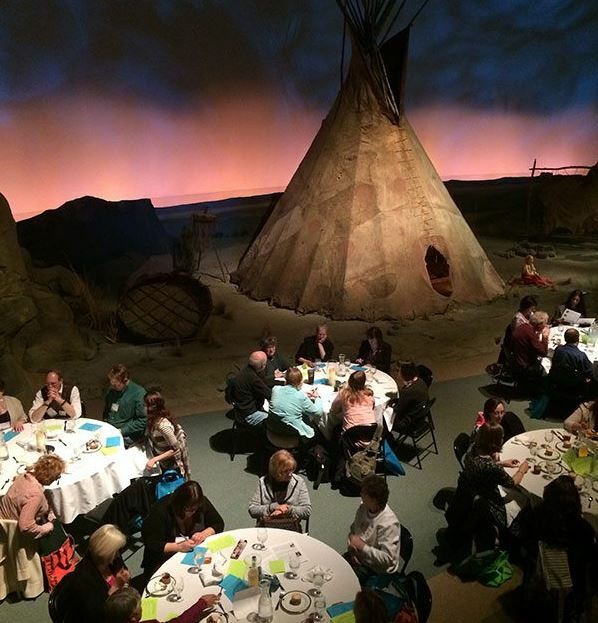 Visitors to the Plains Indian Museum are surrounded by the sights and sounds of the cultures of the Plains Indians Peoples before, during, and after European expansion. 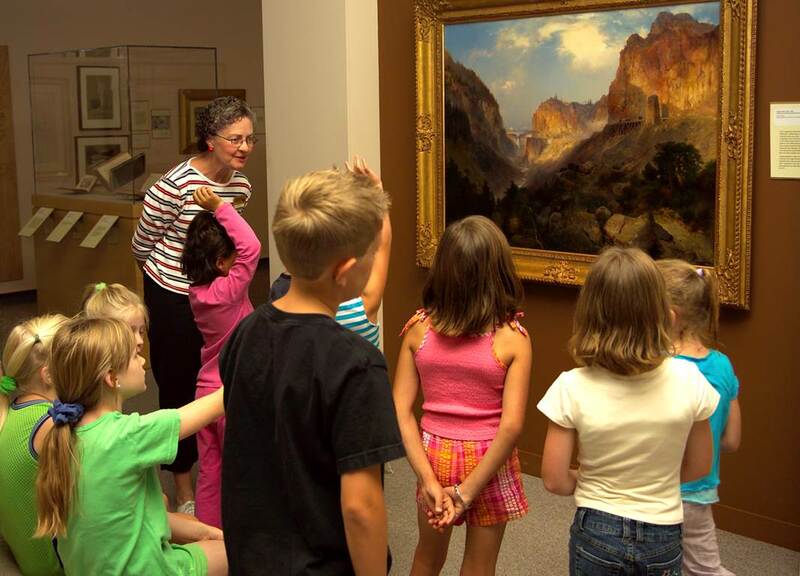 Volunteer docents work with staff to develop spotlight presentations on their favorite subjects and then offer them to visitors several times per week. This long-running free lecture series almost always fills the Coe Auditorium as expert speakers present on a variety of natural history topics. Established in 1991, the CFM features the largest individual collection of firearms (over 7,000) anywhere in the world. 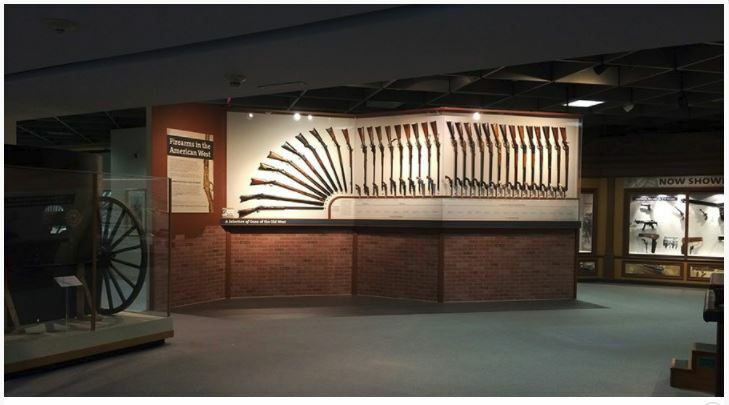 Visitors are treated to the history of firearms from as far back as the 16th century, reproductions of firearm manufacturing facilities and other interactive exhibits. A true treasure for the gun collector and historian! 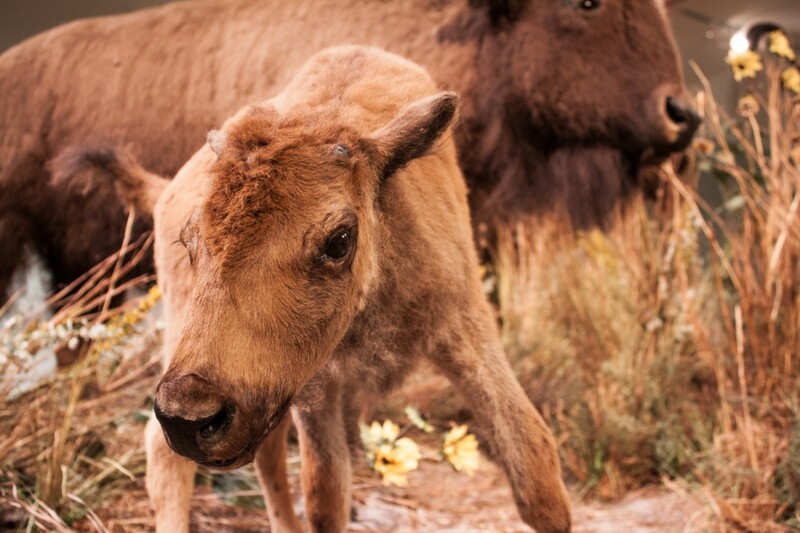 Stand in the hub for any amount of time on a busy day and you'll catch visitors snapping a photo with our misty namesake as they enter the Buffalo Bill Museum. 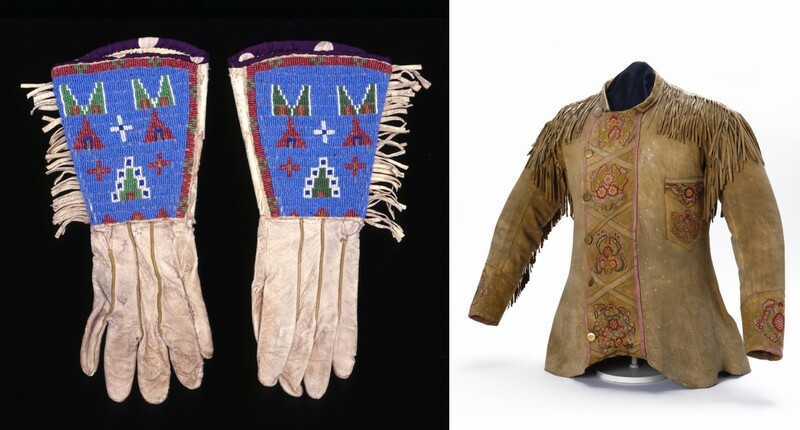 Buffalo Bill was a natural showman, and his wardrobe reflected his need to stand out as the leading man of the Wild West show. 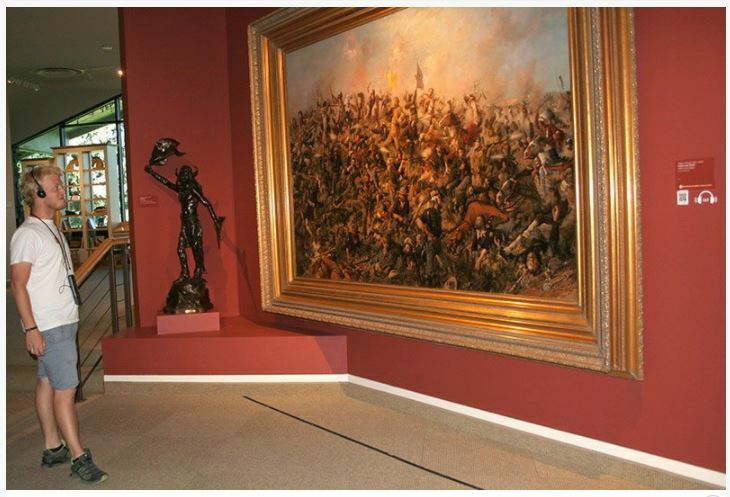 5 World-class Museums Under One Roof! 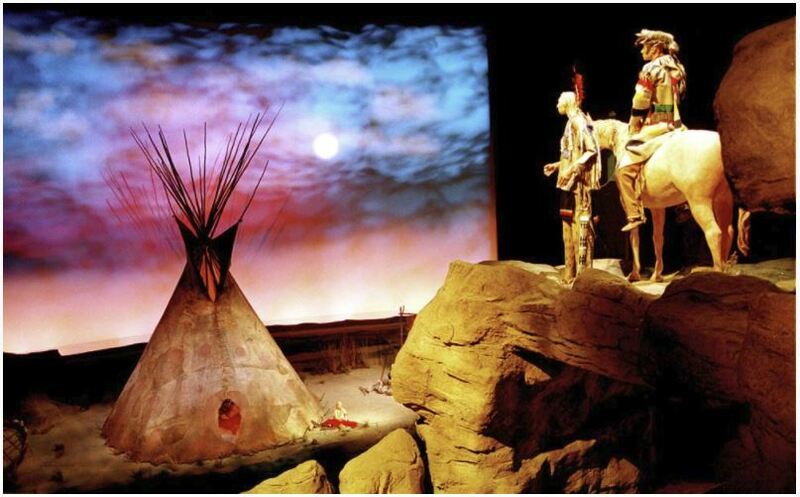 Only the Buffalo Bill Center of the West presents the dynamic story of the American West in five-fold fashion! 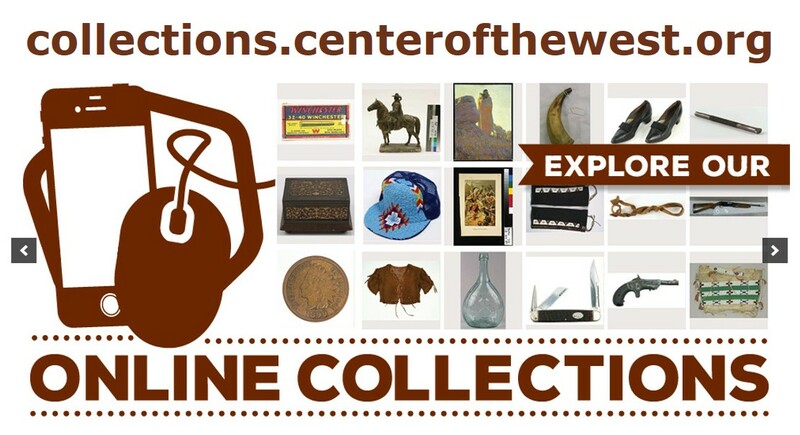 Your gift today ensures the West's many perspectives are shared with the world. 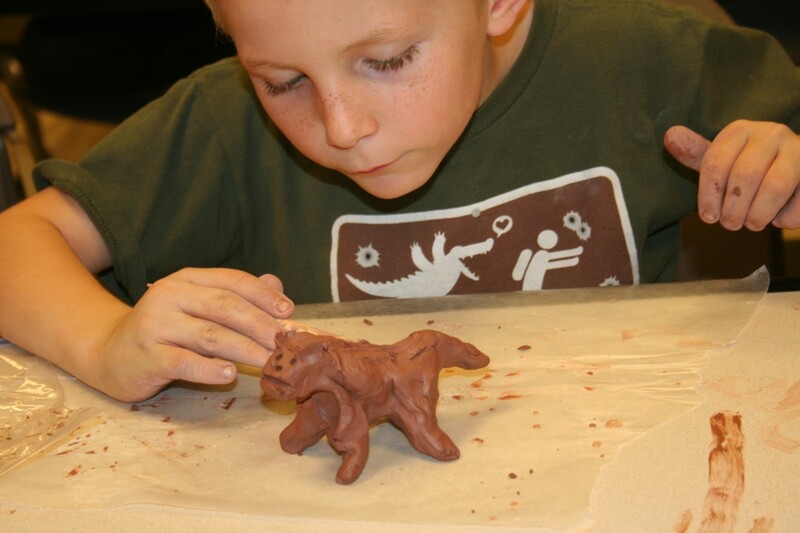 Nearly 100 bronze sculptures are on display at the Center. 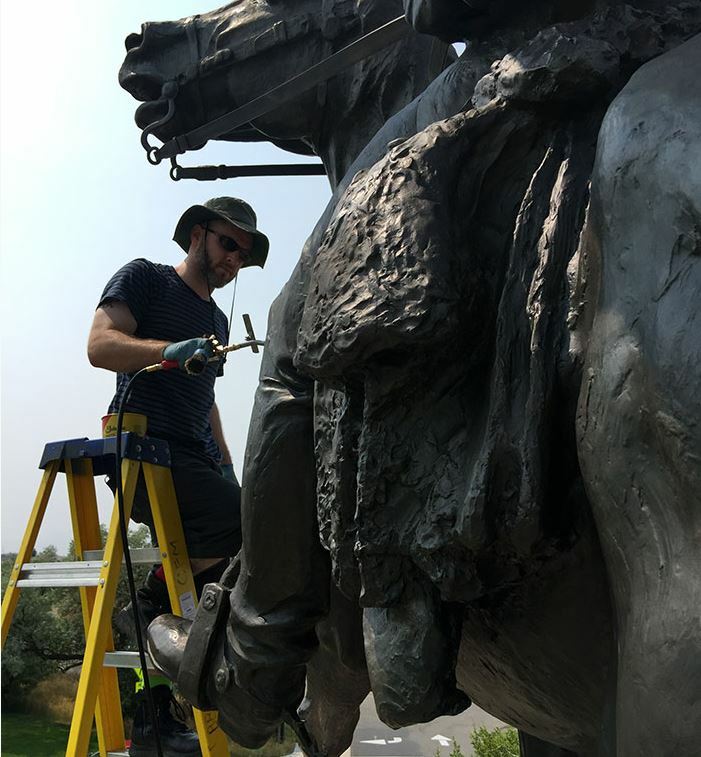 Outdoor sculptures are battered by the elements and require labor-intensive cleaning and waxing to survive as the artists originally intended. With the prevalence of online viewing of all media types, it can be easy to forget that a beautiful oil painting seen in-person can still take your breath away. Many large-scale works currently on view invite visitors to step inside the artists' minds and gain a new appreciation for the West. In a facility with 5 museums, a library, a theater, a dining pavilion, gift shop and more…it can be easy to get lost! 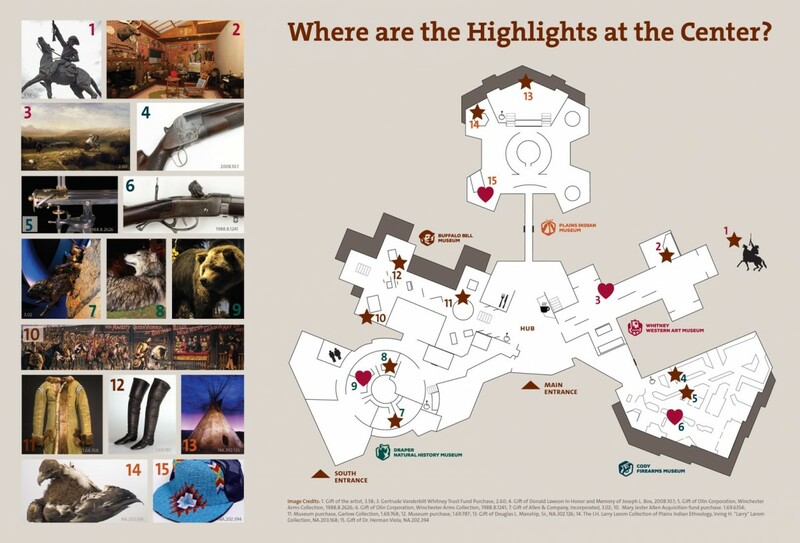 Luckily, our visitors are provided with great maps and guides at no extra cost to help them catch all of the highlights our museums have to offer! 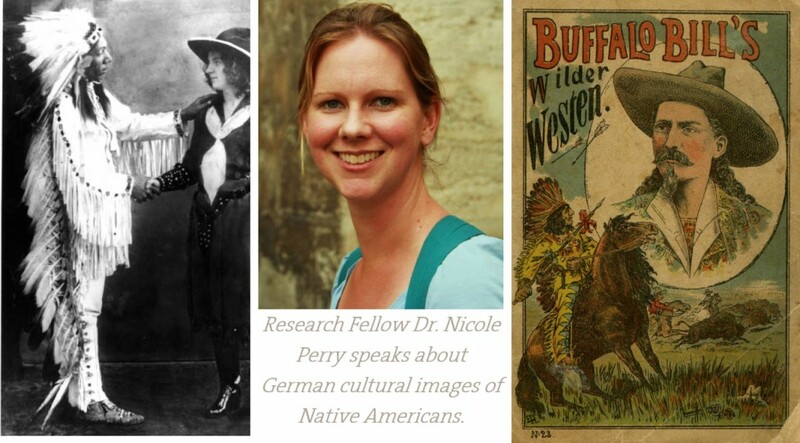 Each year, the Buffalo Bill Center of the West offers a limited number of research stipends for promising and established visiting western scholars in our fellowship program. Fellows research, write, and develop ideas and manuscripts that expand the horizon of western studies. 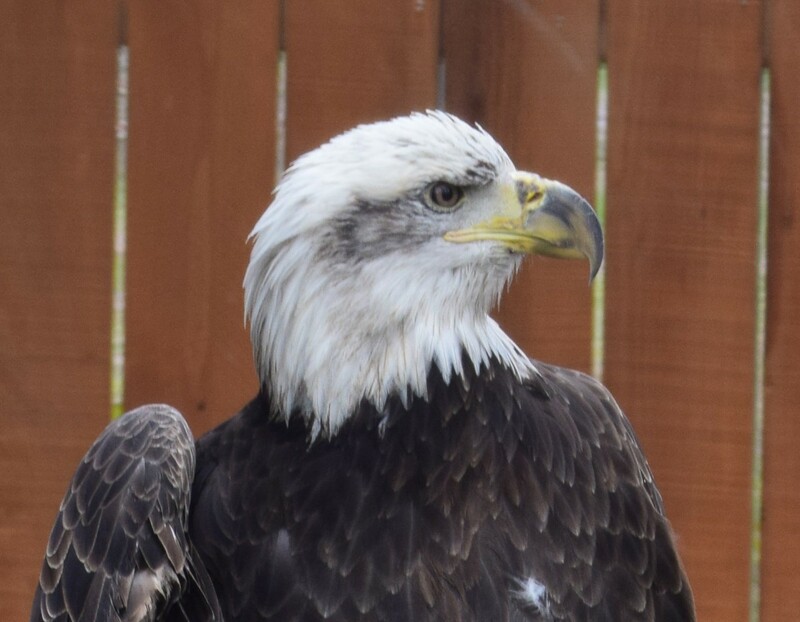 Jade is a sub-adult bald eagle who was found in Antigo, Wisconsin with a fractured wing. 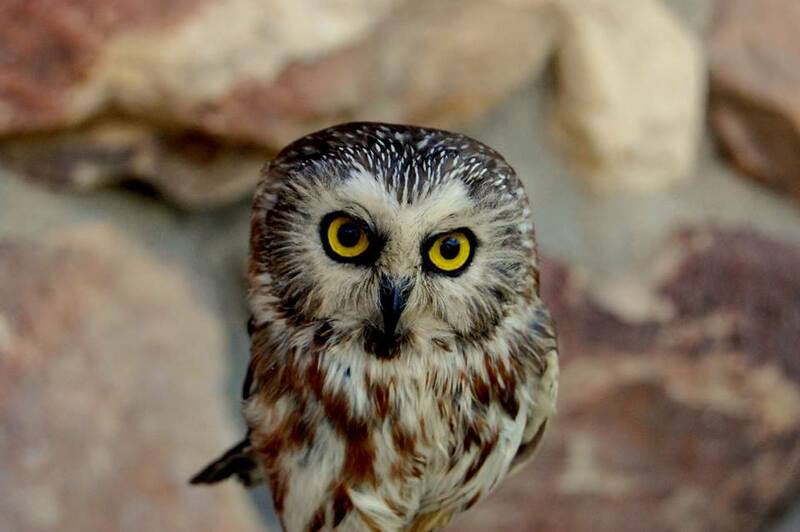 He has lived at the Center since May 2016 in a year-round enclosure where he likes to keep an eye on the other raptors, as well as any rabbits that scurry around the Center's grounds. The best beans and biscuits in the West are served to visitors at the chuckwagon all summer long! 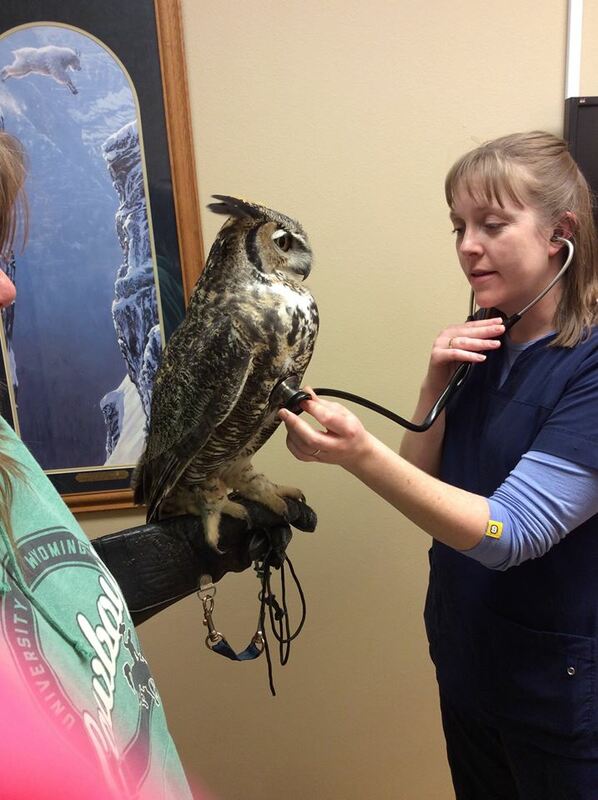 Support this and other hands-on programming when you give now. Artist Paul Dyck (1917-2006) worked hard to collect objects which would preserve the history and culture of the Blackfeet, Crow, Cheyenne, Assiniboine, Arapaho, Nez Perce, Pawnee, Kiowa, Comanche, Otoe, tribes and other Plains Native peoples. 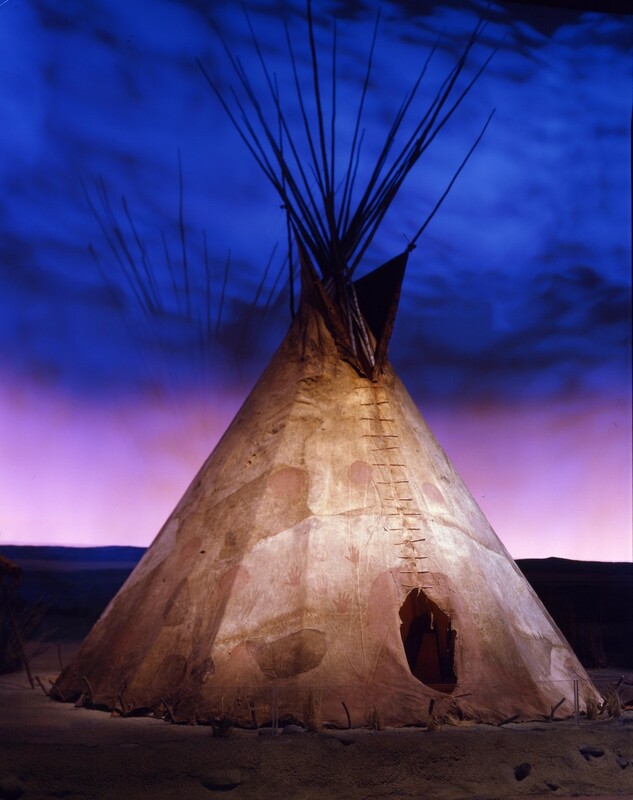 Acquired by the Center in 2007 and awarded the 2009 "Save America's Treasures" grant, the collection of over 2,000 genuinely fulfills the wishes of Paul Dyck and helps to tell the stories of the Plains Indian peoples. The Whitney Western Art Museum was the first museum built on the Center's current site and opened in 1959. It features western art of many mediums and time periods. Discover deeper insight into the artistic process through the studio collections of several important artists: W.H.D. Koerner, A. Phimister Proctor, Frederic Remington, and Joseph Henry Sharp. 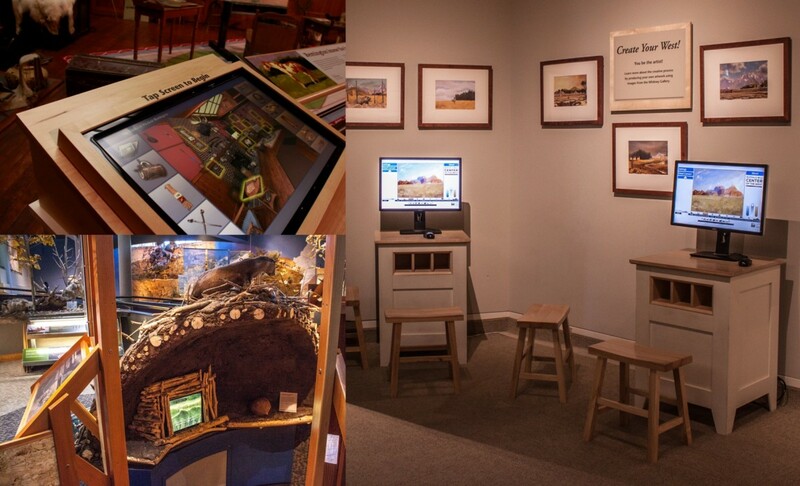 Our visitors to the Plains Indian Museum experience first-person narratives of Plains Indian peoples including voices describing historic events, cultural practices, and objects in the collection. Unlike the ones you see in Yellowstone, our animals won't charge if you get too close. Let safe animal encounters be your reason for giving. 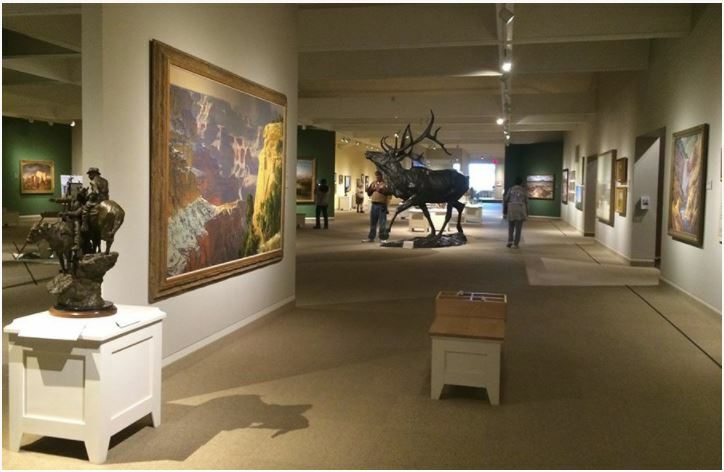 Points West is the Center's tri-annual publication for members which covers a broad range of subjects concerning the Center including: exhibits, staff research, upcoming attractions, and so much more. 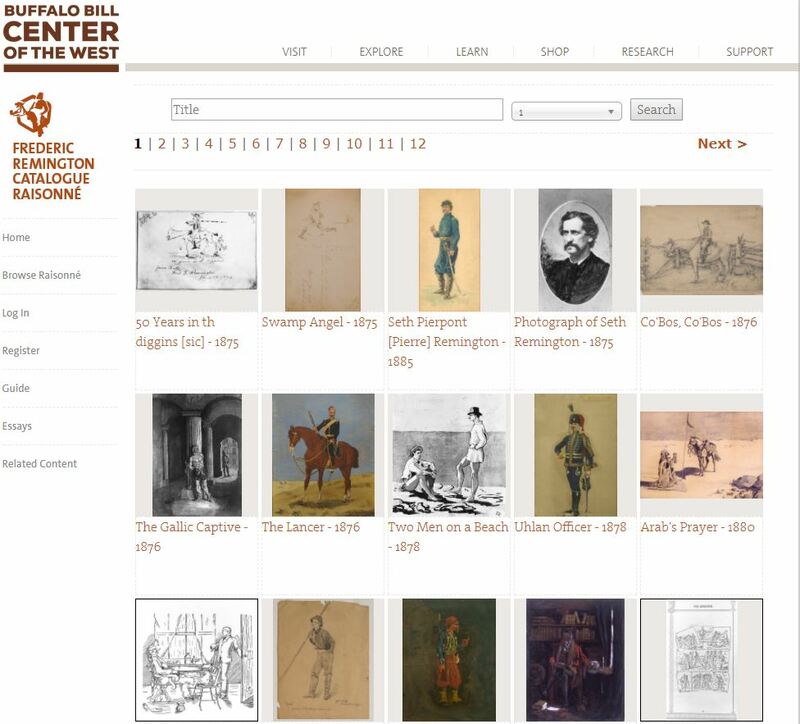 Points West is the best way to keep up with all of the action of the Center's past, present and future! 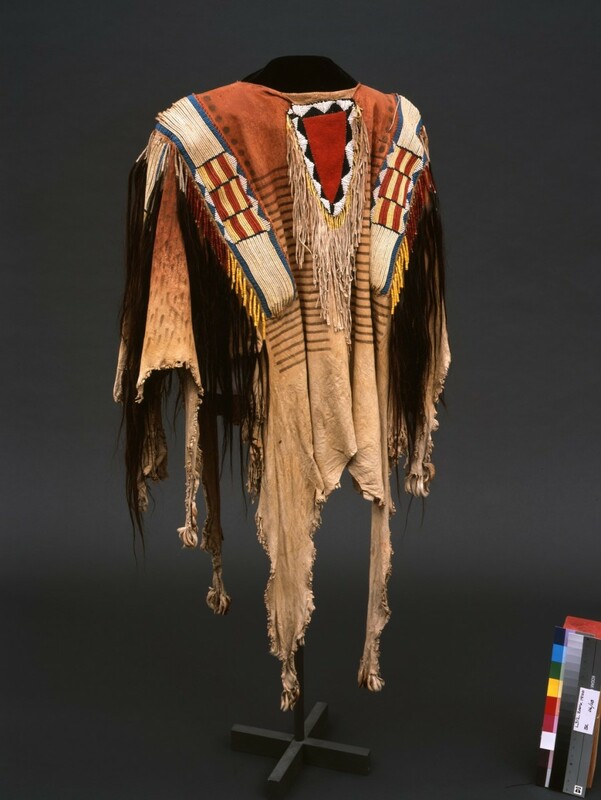 This Northern Plains lodge is made of 13 buffalo hides and dates to the middle 19th century. As buffalo populations were destroyed, hide lodges became rare, making this particular hide lodge an uncommon and special piece in the Plains Indian Museum. The McCracken Research Library houses C.M. 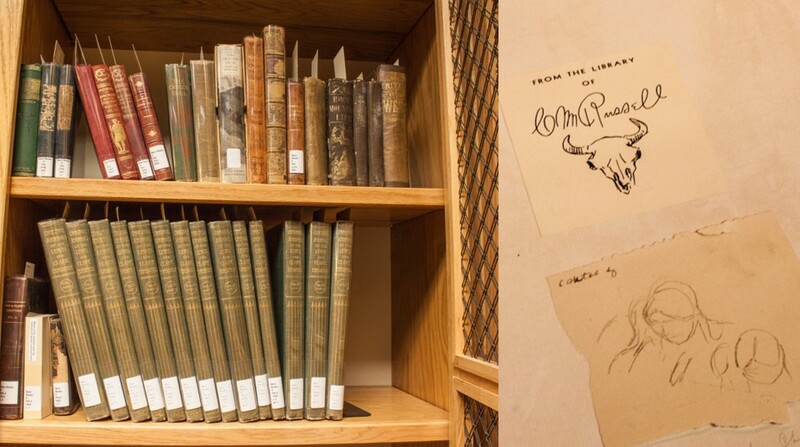 Russell's personal copy of the Lewis and Clark expedition journals. To the surprise of the McCracken staff - a document signed by Clark himself fell out of one of the volumes! We are fortunate to have a full-time Conservator who protects the Center's objects while they're on exhibit, in storage, in transit or on loan. She also oversees a robust internship program of potential future conservators. 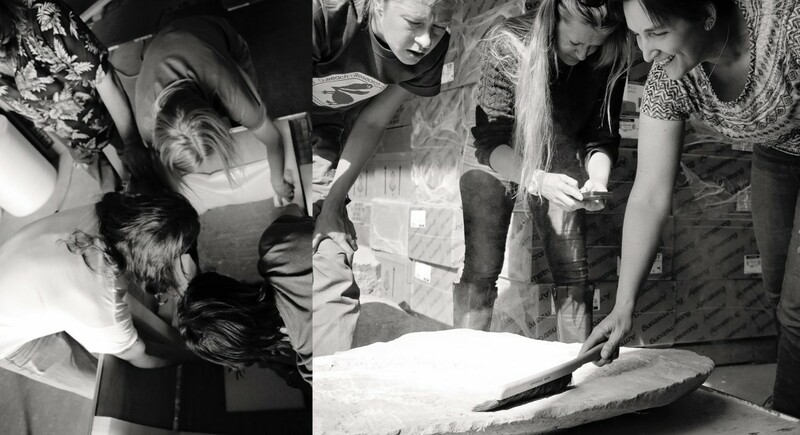 Several interns receive training and perform treatments on a wide variety of objects from our collection each year. 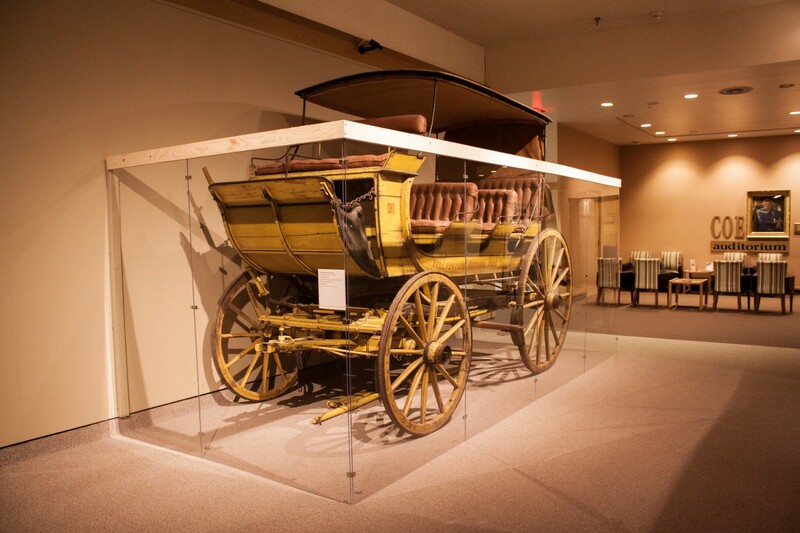 Currently on display in the Buffalo Bill Museum, this stagecoach was originally used as a hotel coach in Littleton, NH after being built in 1867. It was later commissioned as a US Mail carrier and designated to the Deadwood-Cheyenne route. 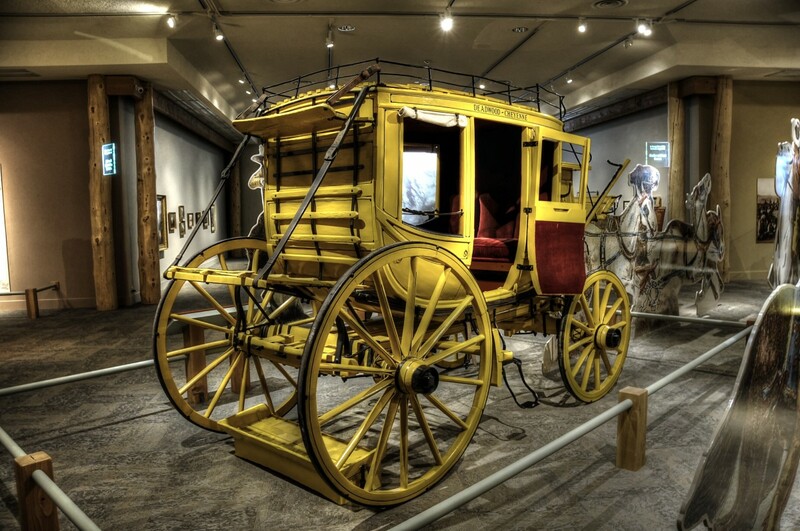 Used in the Wild West show, this stagecoach once carried Queen Victoria, the kings of Belgium, Denmark, Greece, and Saxony as well as the Prince of Wales during the performance's mock attack on the regal guests. 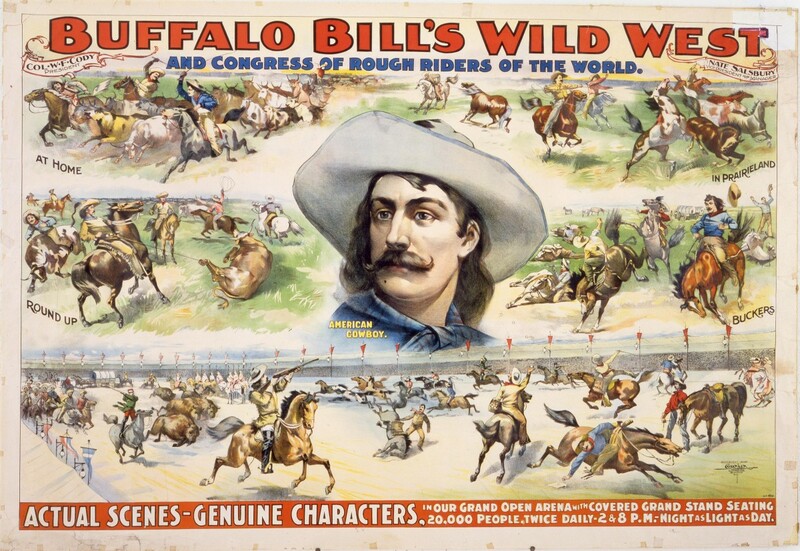 The Buffalo Bill Museum holds many original posters from the traveling days of the Wild West. These delicate artifacts were not created with materials that were meant to stand the test of time. And yet, with great care, they survive intact for the enjoyment of future generations! 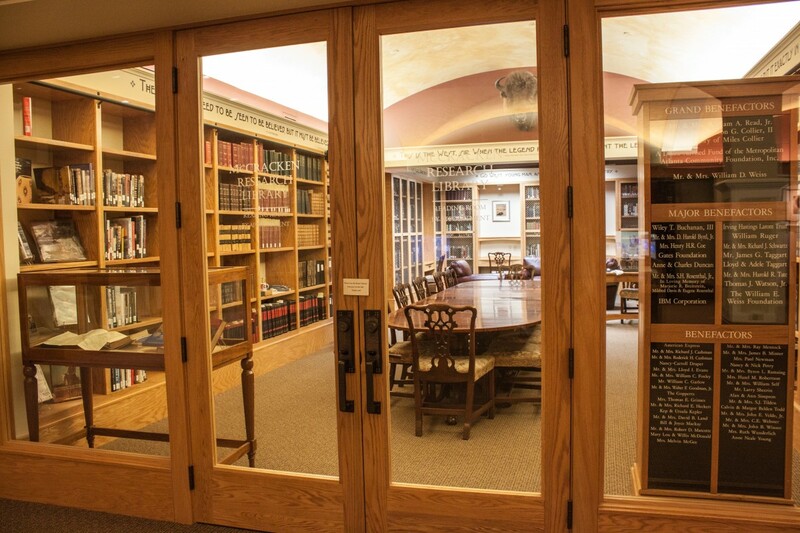 With extensive collections of rare books, historic photographs, and original manuscripts, the library offers scholars, students, and staff members direct contact with the materials of history. 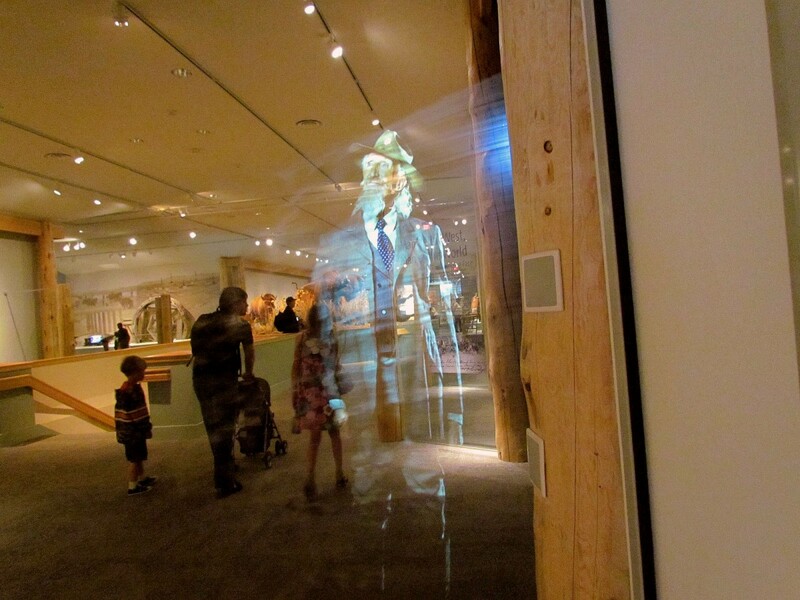 Without working elevators, we can't provide easy access to exhibit areas for all visitors. 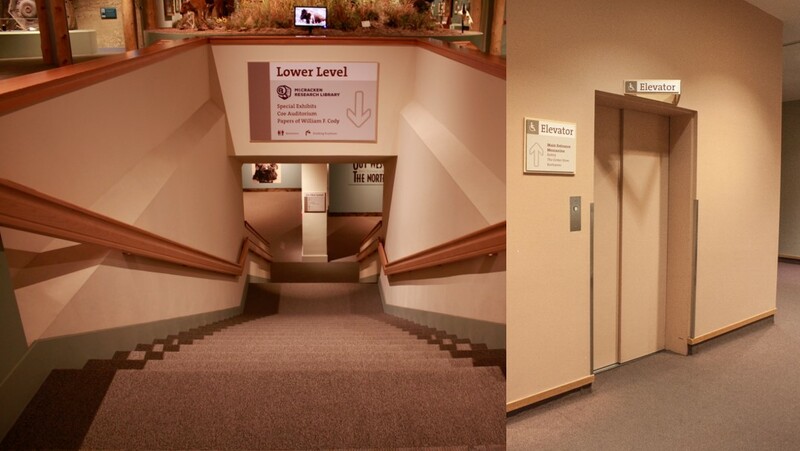 Many of our lower level exhibition areas are not connected to each other which means that someone may need to utilize three different elevators to see everything! Our grounds crew works tirelessly year-round to maintain beautiful outdoor spaces where visitors can sit, sigh and soak in western art, color, and light. Support garden upkeep when you give now. Thousands of international tourists travel to the Center each year to have an authentic experience of the American West. The Buffalo Bill Center of the West has 48 public restroom stalls and urinals and they all require supplies and maintenance. 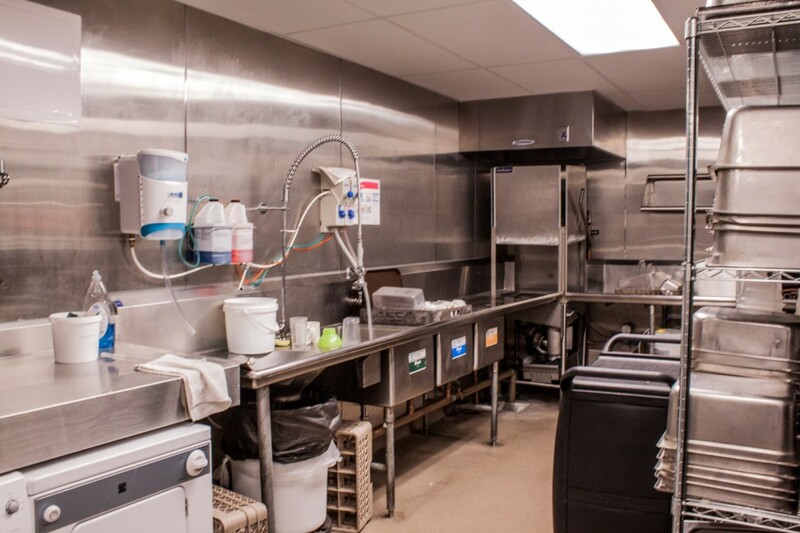 Your gift ensures a clean facility with adequate toilet paper today and everyday. 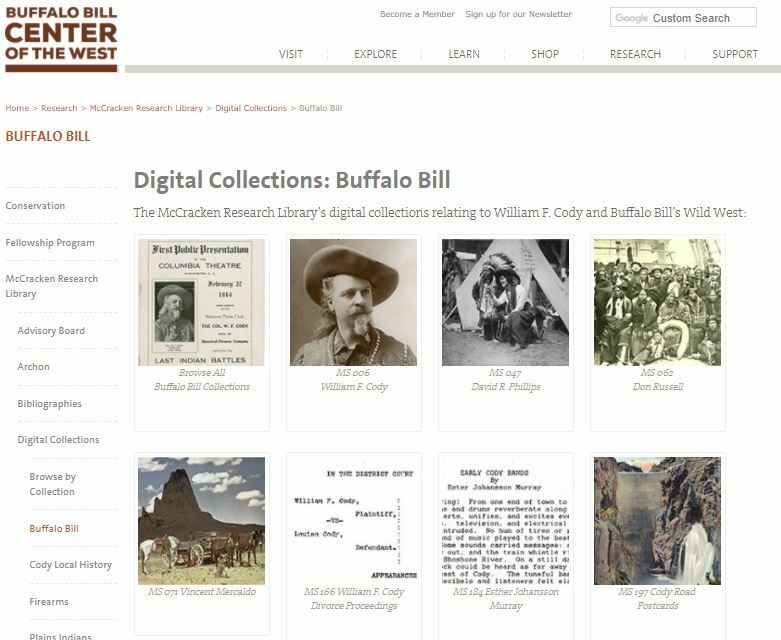 The Papers of William F. Cody are an archive of Buffalo Bill's entire life, and his influence far beyond his role in the Wild West show or as a Colonel in the Army. 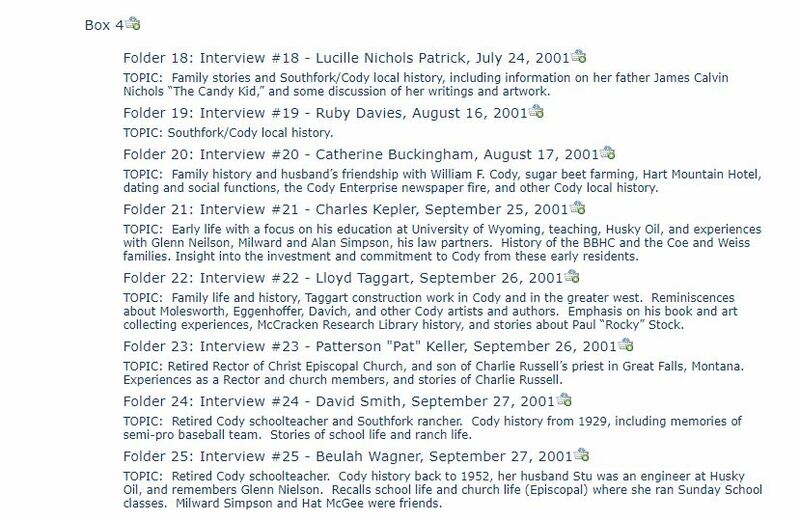 These documents provide a wide breadth of knowledge that is used to further our understanding of the times and influence of William F. Cody and the many connections he made. The papers are used by the Center, other institutions and many scholars. 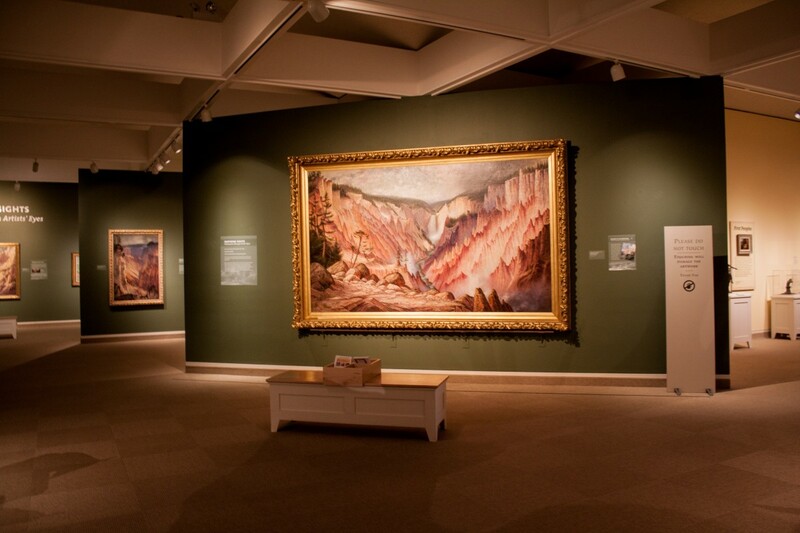 TripAdvisor reviewers consistently rate the Buffalo Bill Center of the West the #1 Thing to do in Cody. As an important tourist destination, we provide a boost to the local economy. 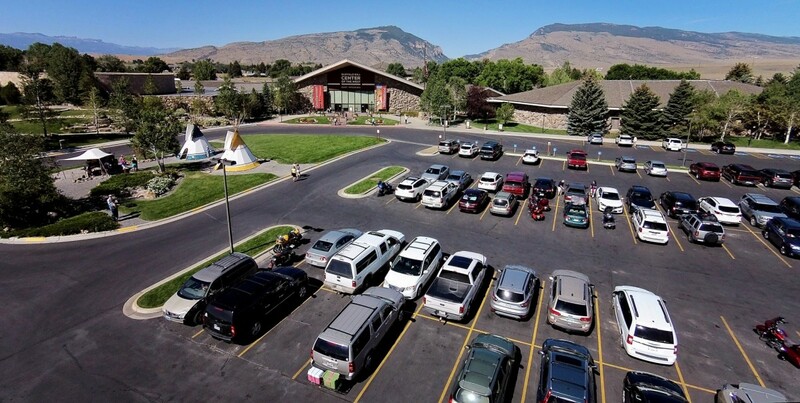 The Center's objects and exhibits don't spend all of their time in the small town of Cody, Wyoming! 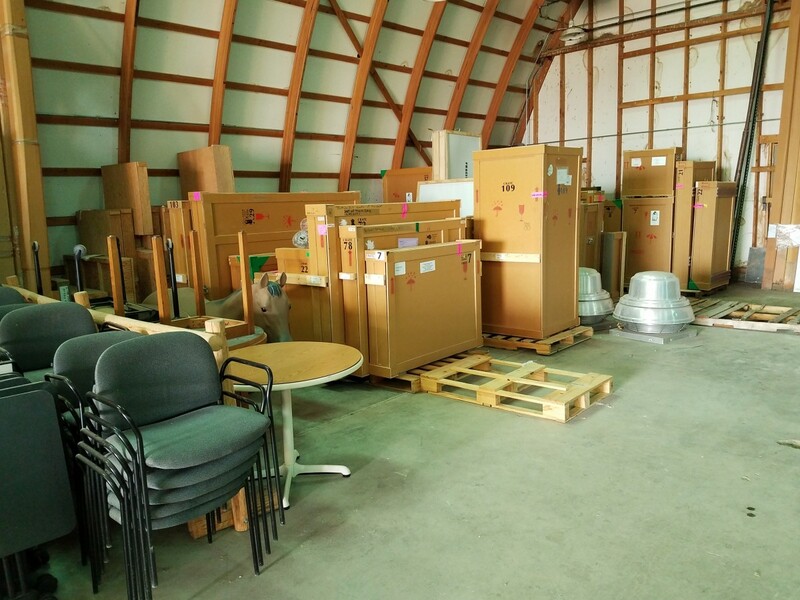 In fact, we regularly send special and exemplary collections to other museums or institutions for limited-time diplays. Check out what's going on now beyond our walls. 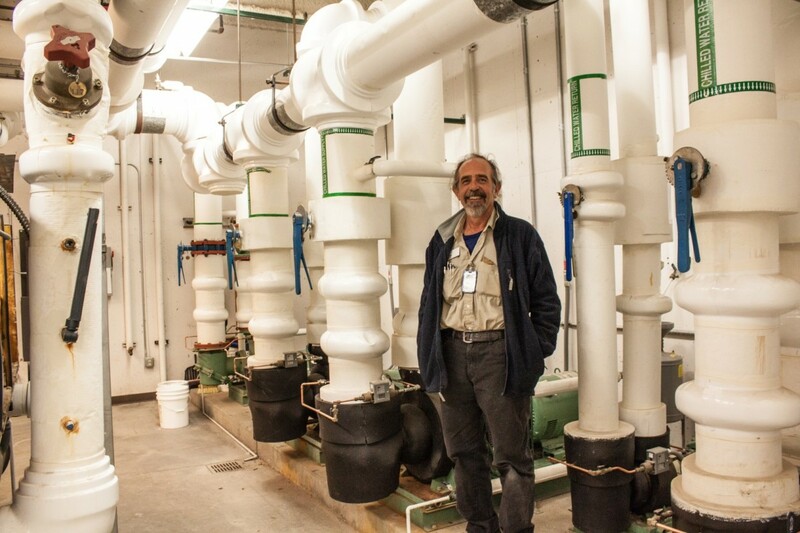 Like any other public building with toilets, sinks, a commercial kitchen, outdoor water features, and sprinklers, our day-to-day operations depend on running water. Poorly lit galleries and outdated fixtures are a disservice to visitors and potentially damaging to artifacts. Keep the lights on with your gift today. 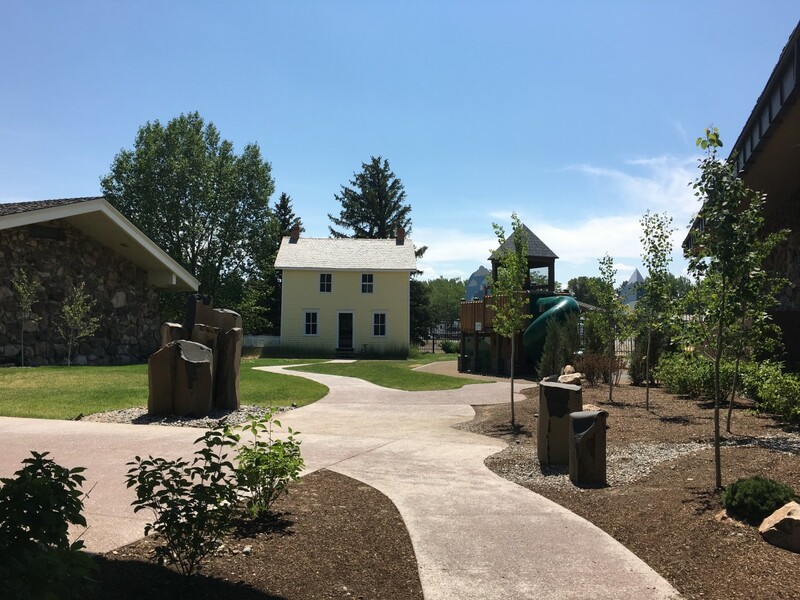 If you have time to spare, the Center offers several opportune spaces to relax and contemplate the sights and sounds of the West. Whether you need a break to sketch or a place to sit with a good cup of coffee, we've got you covered! 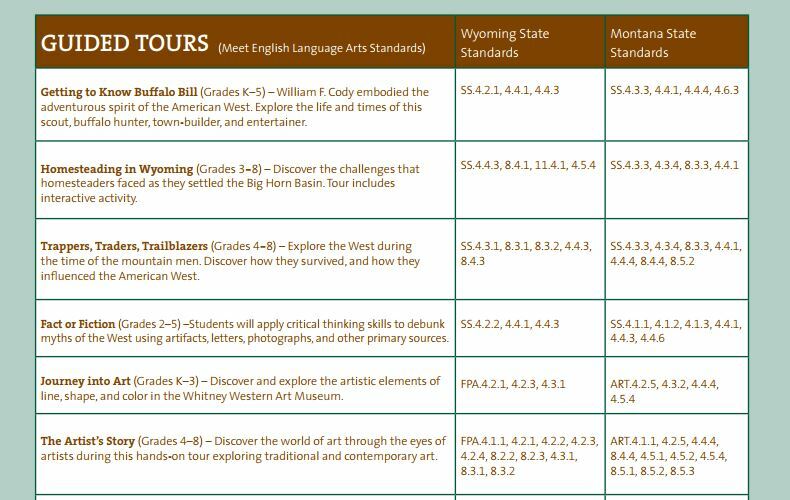 The Center frequently works with scholars, educators, and staff at other museums, universities, and institutions to further the knowledge of the American West and share best practices amongst colleagues. 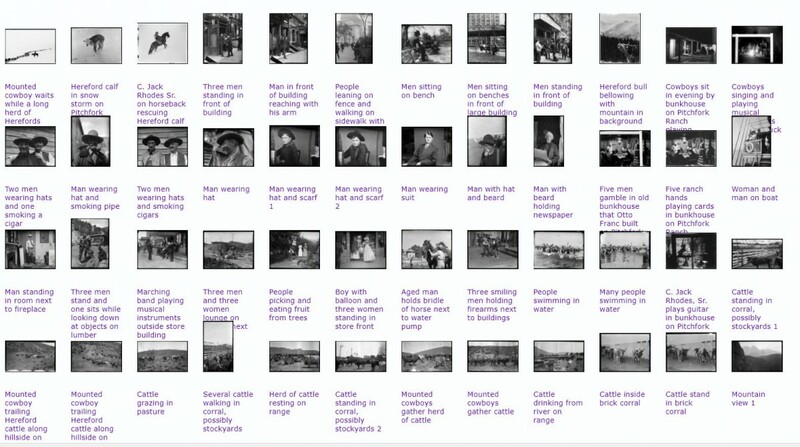 Video and Audio records in the McCracken Research Library offer us a unique glimpse into the lives of many westerners as they candidly recount their personal history with this region. 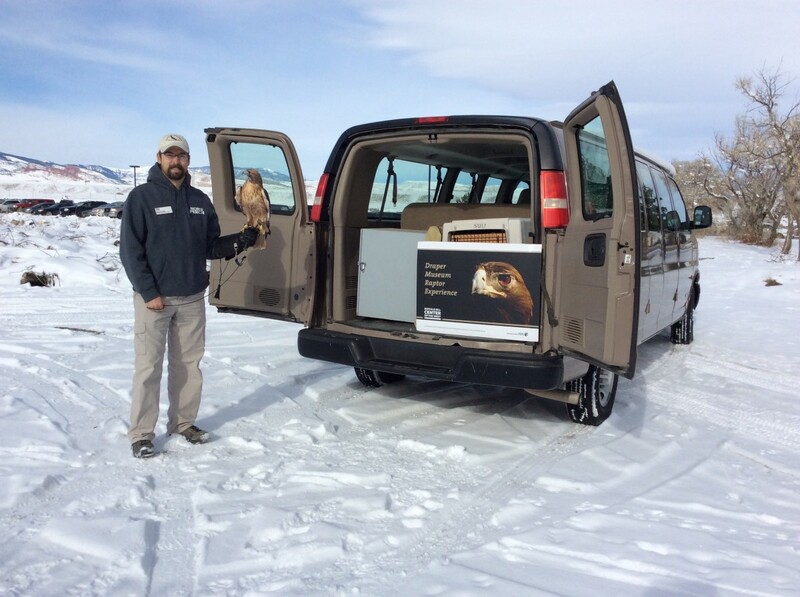 Your gift keeps company vehicles in good working order so we can safely transport staff (and birds) for off-site educational programs, field research and field trips. When was the last time you had a golden eagle in your car? Enhance your next visit to the Whitney Western Art Museum with a free audio tour narrated by western art experts to give you a deeper understanding of the history of the artwork, as well as the materials, techniques, and more! 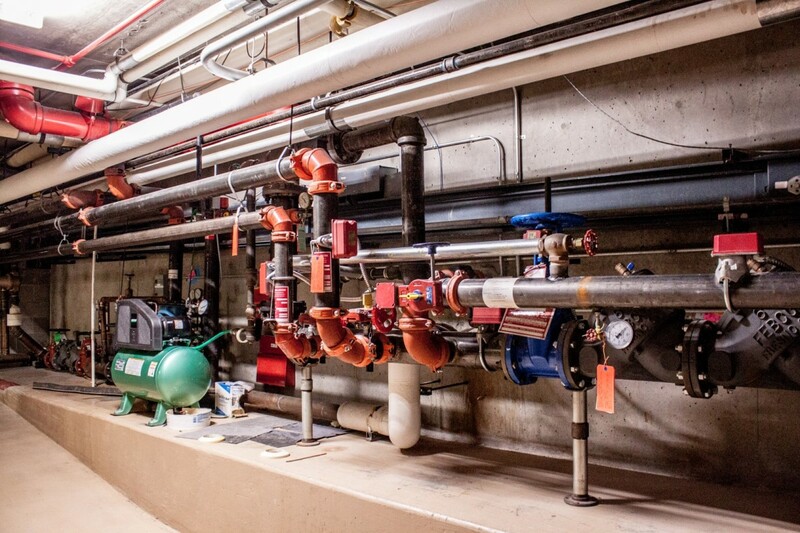 Water occasionally enters our building uninvited, wreaking havoc in collections storage areas. Regular monitoring and upgrades are essential to reinforce our protective barrier and keep the elements outside where they belong! 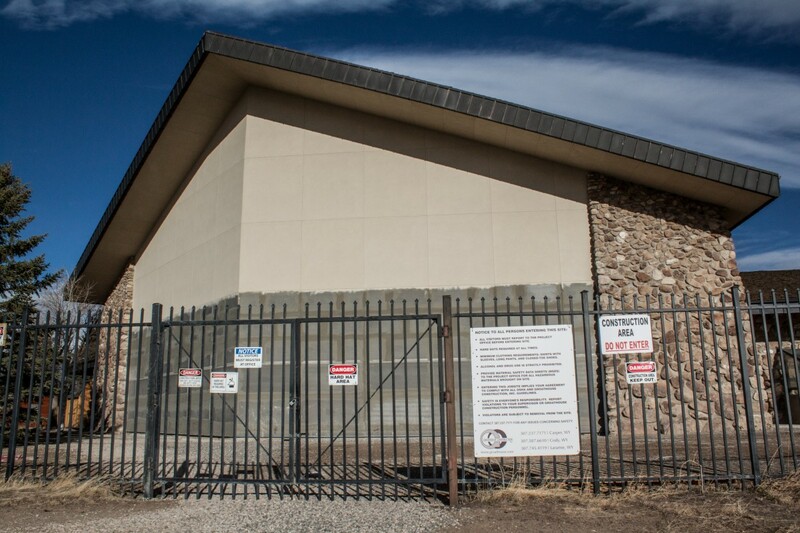 Repairs were made to the outer wall of the Plains Indian Museum in 2017. When installed, these cleverly-designed compact shelving units will triple the storage space in one of our library vaults! 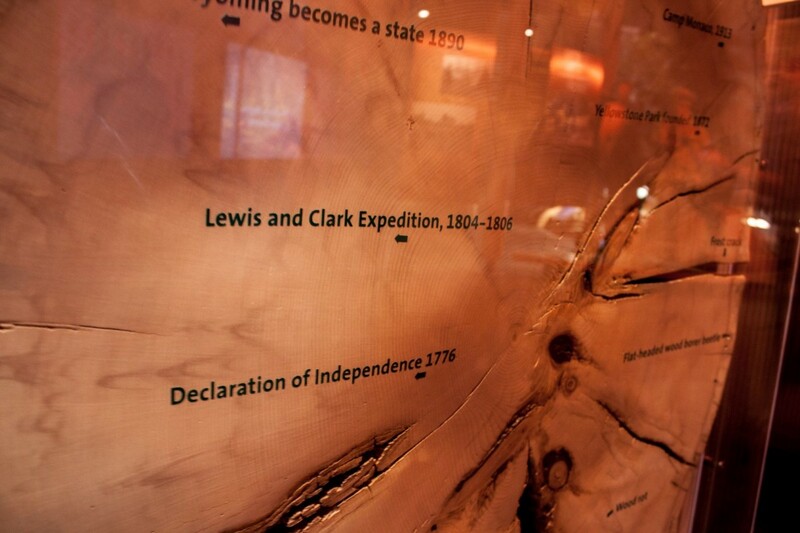 This tree slice came from a 300 year-old Engelmann spruce that was killed by the 1988 Yellowstone Fires in Camp Monaco near Wapiti, Wyoming. It's been marked to indicate its age relative to signifcant events in history. How cool is that! Some of our collections "objects" are alive! They require shelter, food, water, medicine and enrichment activities. The annual Plains Indian Museum Powwow is the longest running public event offered by the Center. 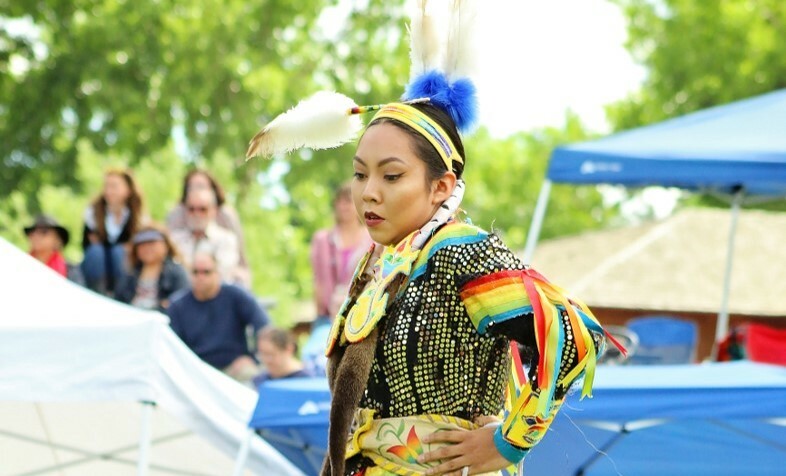 It celebrates the Native cultures of the Plains by bringing together Native dancers, drum groups, families, along with artisans and appreciative spectators. See you in June! 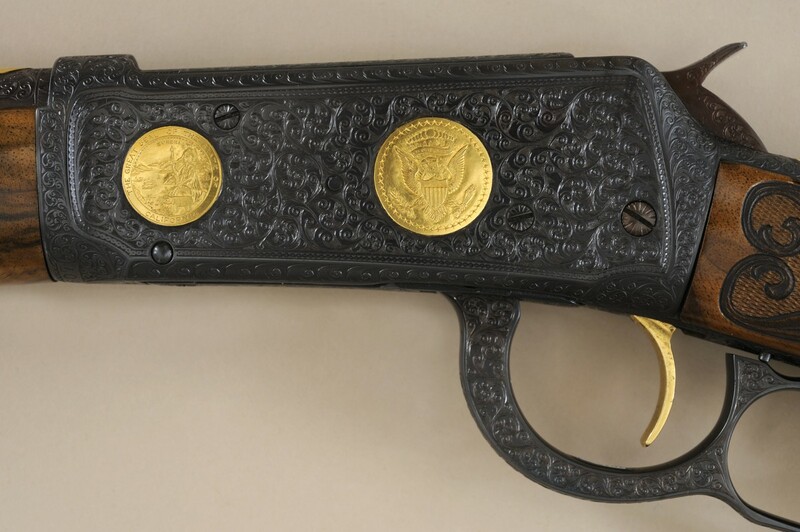 The Cody Firearms Museum contains many embellished or highly ornamented guns within its collection. One example is this Winchester model 64 .30-30 cal rifle presented to President Ronald Reagan by the Screen Actors Guild. 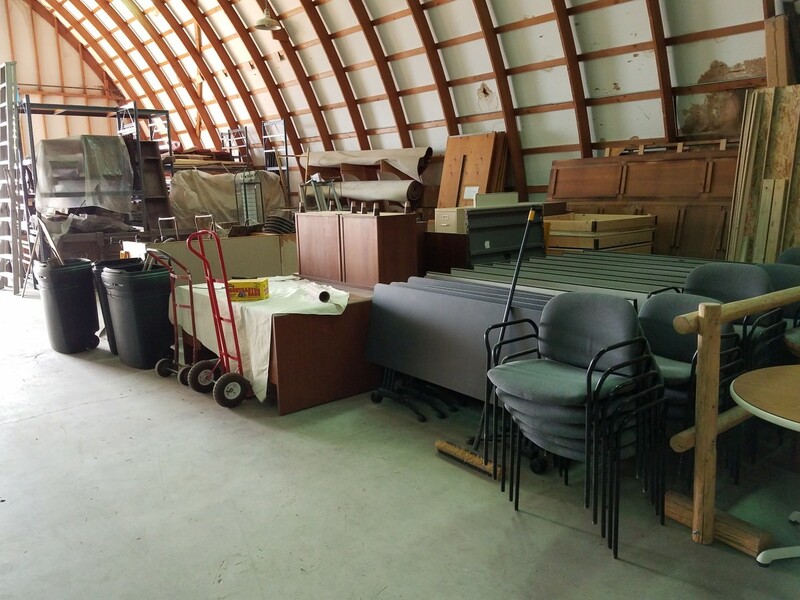 Even with dozens of vaults onsite, we simply can't fit all of our collection items, props, and office equipment in the building. Our offsite storage buildings require year-round care as well. This footage, projected in the Buffalo Bill Museum is from the very first days of the motion picture era. 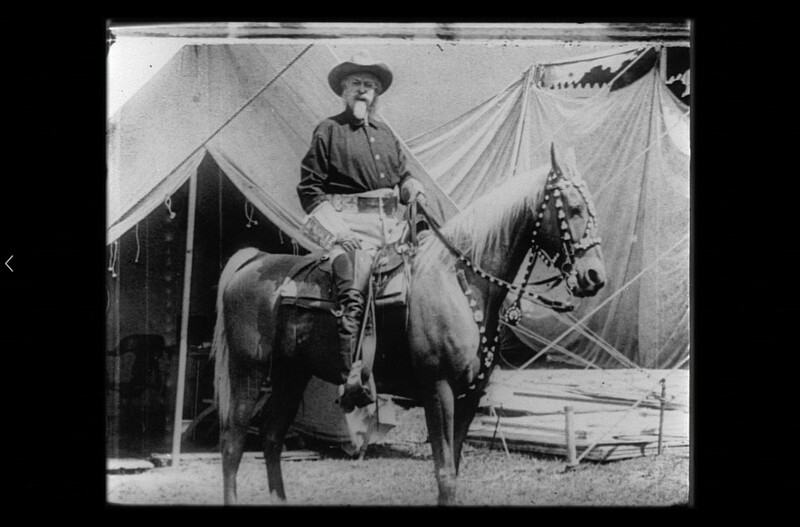 The film clips show Buffalo Bill and several popular acts of the Wild West show. We're reaching 20,000 elementary school students each year with up to 7 lessons per day through Skype. You support educators, equipment maintenance and lesson development when you give today. 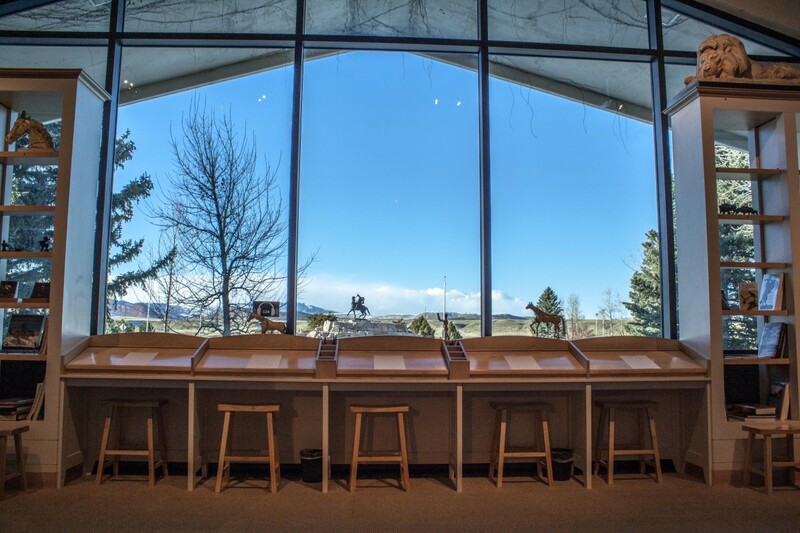 In the high desert climate of Cody, it's a constant battle to keep the humidity and temperature just right to preserve collections and keep guests comfortable. Let climate control be your reason to give. 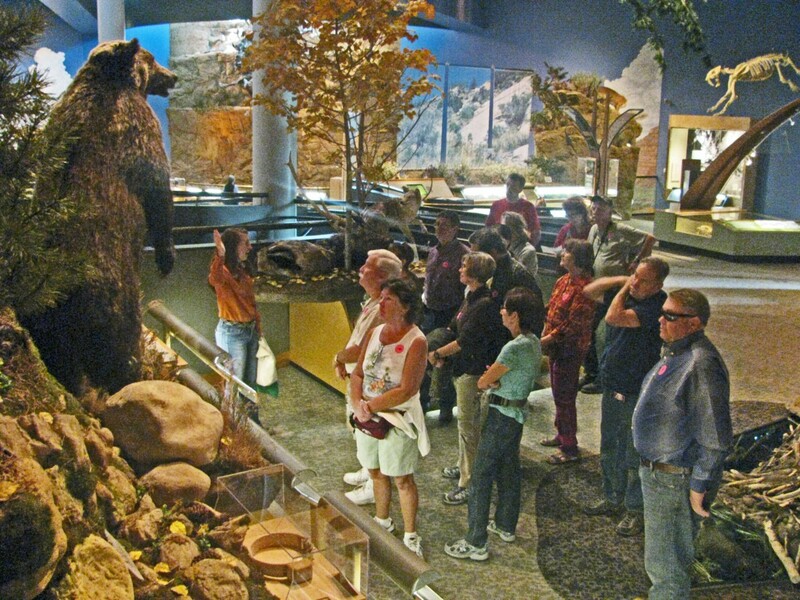 A free, personal tour from an interpretive educator brings the West to life and makes for a memorable visit. 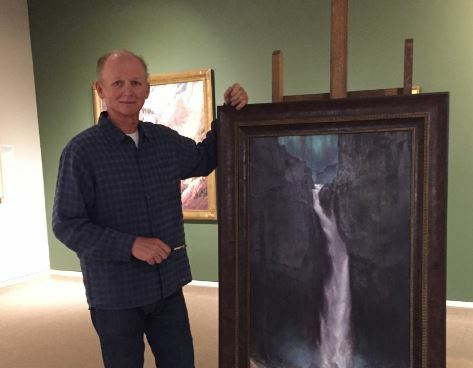 We support living artists through our artist-in-residence program and robust collection of contemporary western American art in addition to collaborating with the Cody Country Chamber of Commerce to put on the Buffalo Bill Art Show & Sale each year, a premier art show and auction featuring western art by over one hundred living artists. Remington and 9 of his avian friends will live out the rest of their lives here at the Center, appearing in daily programs to educate the public about the role of raptors in the Greater Yellowstone Ecosystem. Let Remington be your reason for giving today. There is a constant movement of collection items out of and into the center. Theses can be small objects or collections, or entire traveling exhibits. 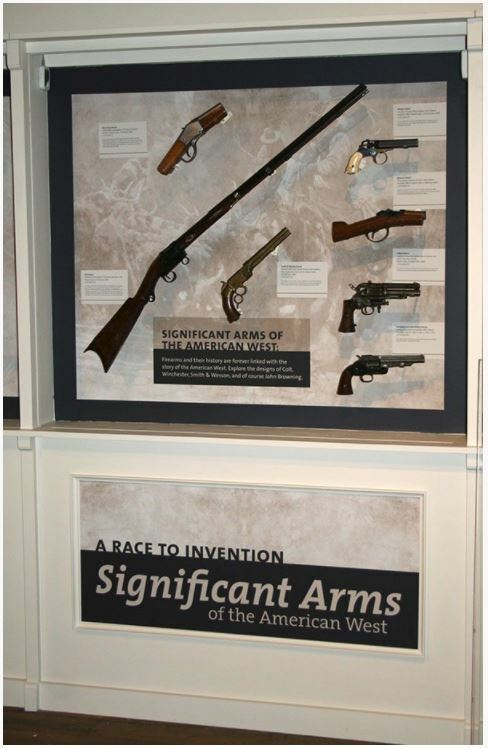 The Center is currently the lucky home to "Journeying West" Distinctive Firearms from the Smithsonian exhibit! 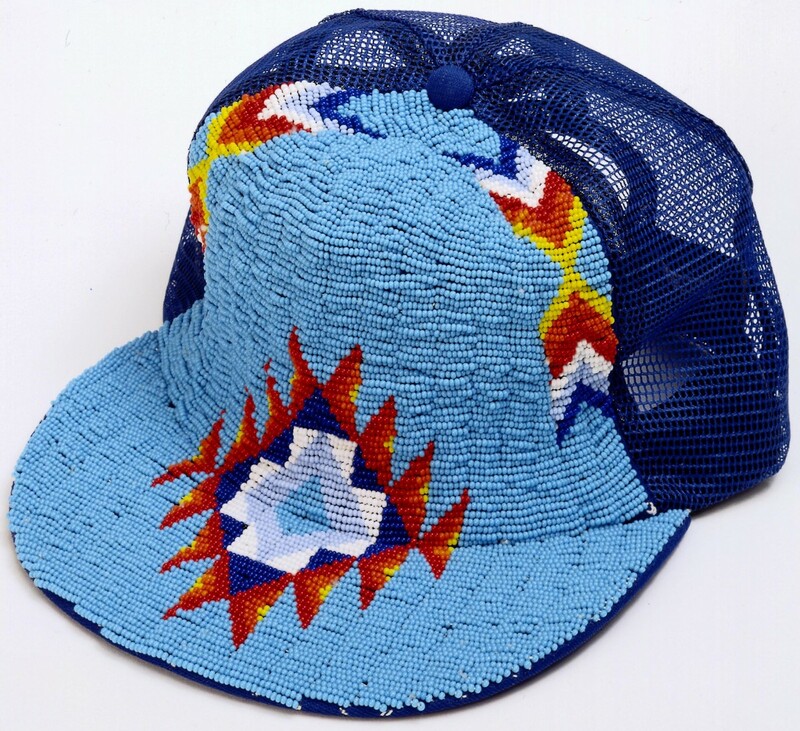 Traditional beadwork meets hipster functionality in this contemporary work of Native American art that's beloved by many. Can't make it to Cody to enjoy the Center? 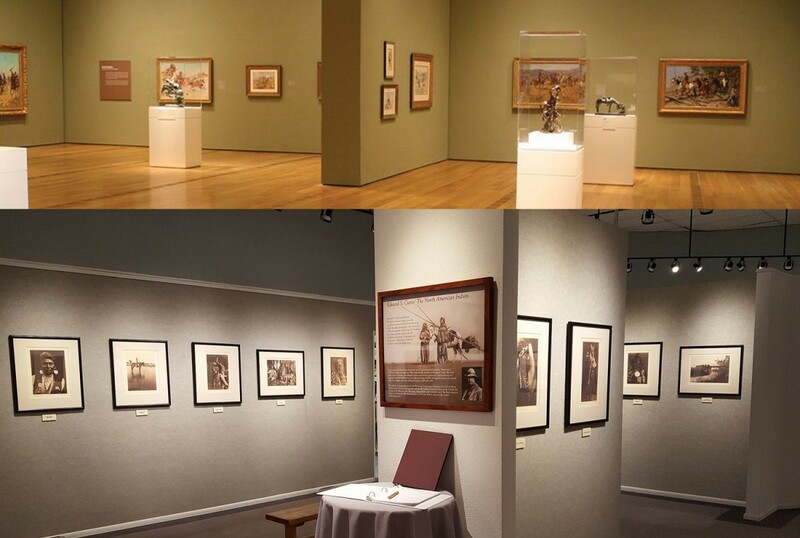 No worries, Our online collections will keep you captivated for hours of learning, searching, and curating your own virtual exhibits. 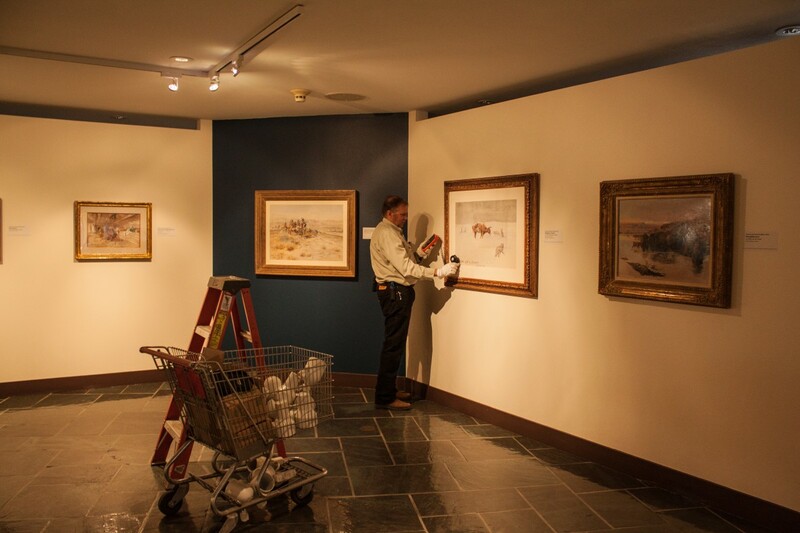 Frederic Remington scholars gather at the Center each year to evaluate paintings submitted from private collections which may or may not appear in the next edition of the Remington Catalogue Raisonne. 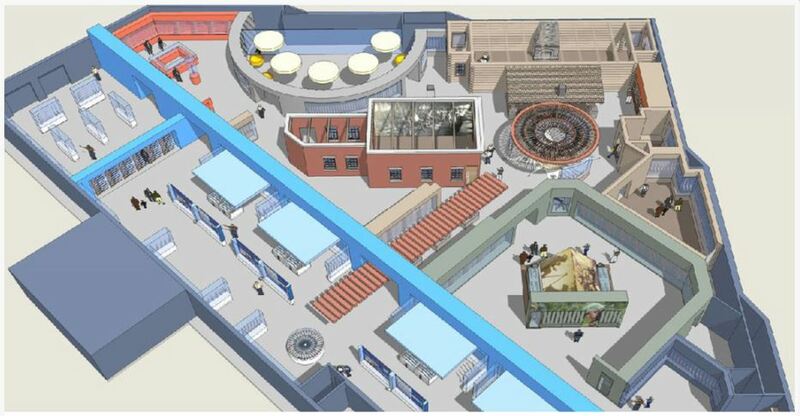 Thanks to many generous contributions from donors, the Cody Firearms Museum will soon begin the process of a complete (two-level) reinstallation, the first since its opening in 1991 which promises to offer the best of the collection as well as a completely modernized museum experience! 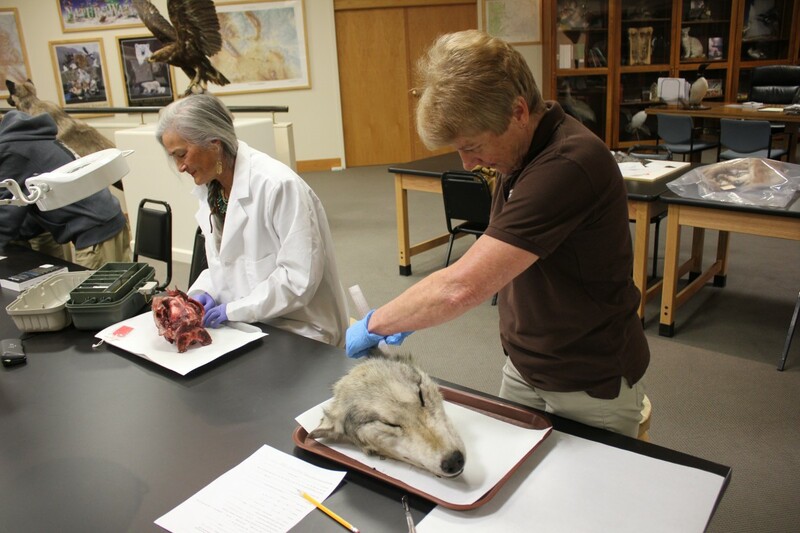 The Center houses an important collection of wolf skulls which are studied to better understand wolf biology and ecology in this region, especially comparing historic Yellowstone wolf specimens to the current population that was reintroduced from Canada in the 1990s. Our Education Department has created Museum Adventures, Field Trips, and Outreach Trunks that also meet curriculum requirements for teachers. 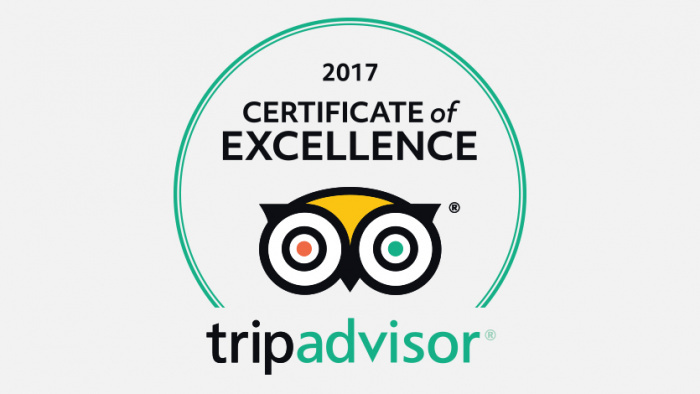 We're proud to work here and share this special place! 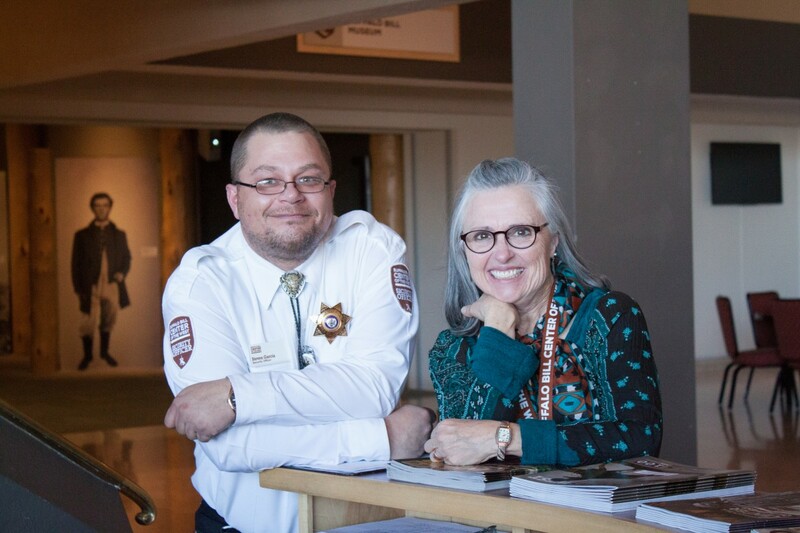 Visitors are welcomed with a smile by frontline staff at Admissions, Security, Membership, Store, and Eatery as well as Volunteers, Tour Guides and more. It's our western hospitality! Digitization provides broad access to our collections and prevents excessive handling of delicate objects. 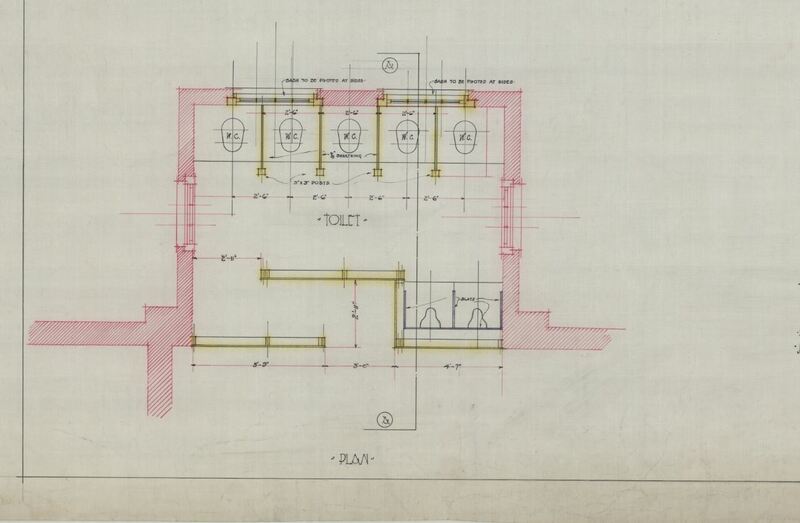 Check out the digital collections of the McCracken Research Library. The Future of the West! Whatever the future may bring for the American West, we'll be here preserving, presenting and promoting it to visitors from around the world (at least until the Yellowstone supervolcano erupts). 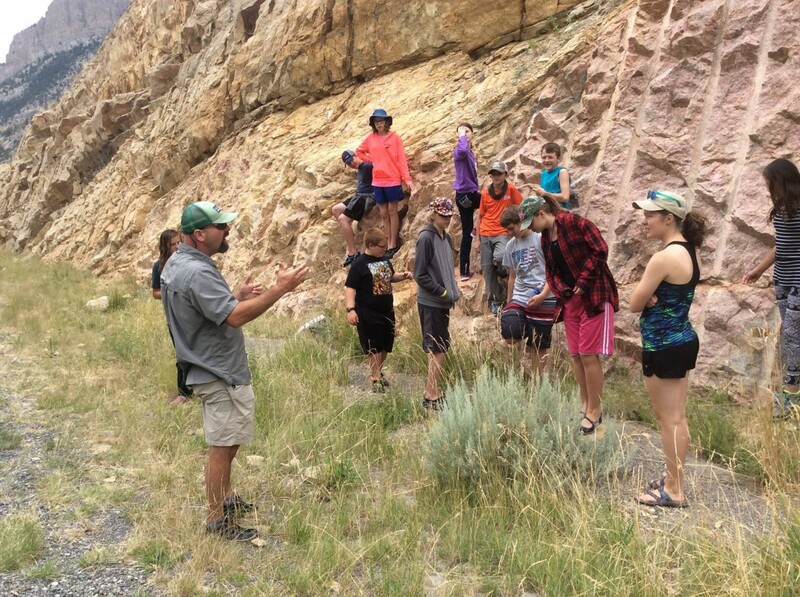 Pictured here, a group of middle school students learns about geological formations during a Center-organized field trip. 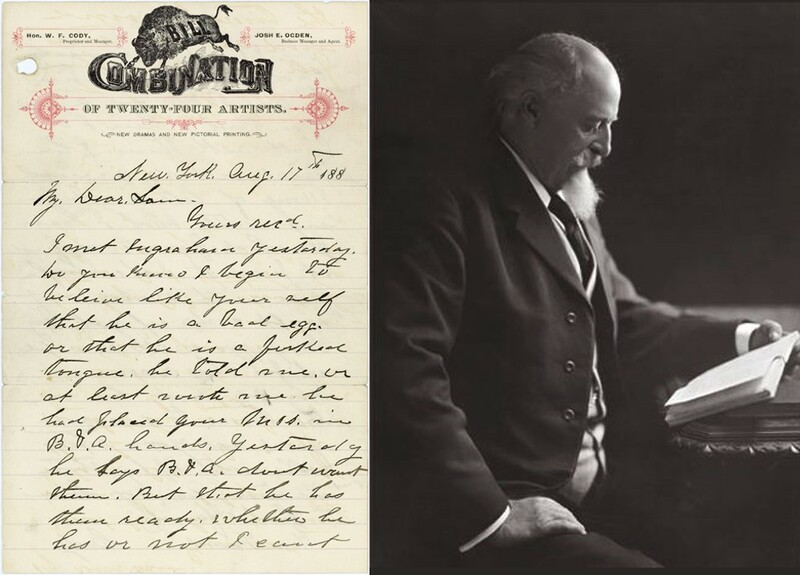 We're fortunate to not have any devastating pest problems but with the longterm preservation of our collections in mind, we have to keep destructive critters at bay. The traps we use are more modern and less deadly than this one. 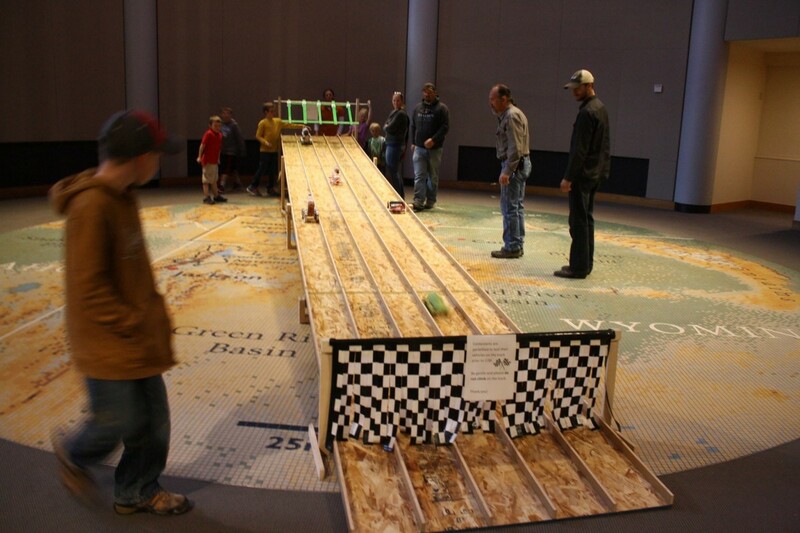 Whether it's building a car out of recycled materials for Earth Day or completing a team scavenger hunt in the quickest time possible, Family Fun Days challenge the whole family and make learning fun! 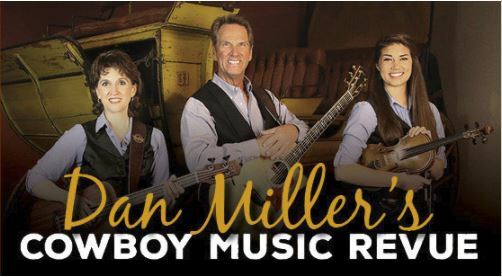 Dan Miller's Cowboy Music Revue enters its third season at the Center in 2018! The authentic cowboy music and hearty western buffet dinner make this a must-see performance for visitors to the Center! 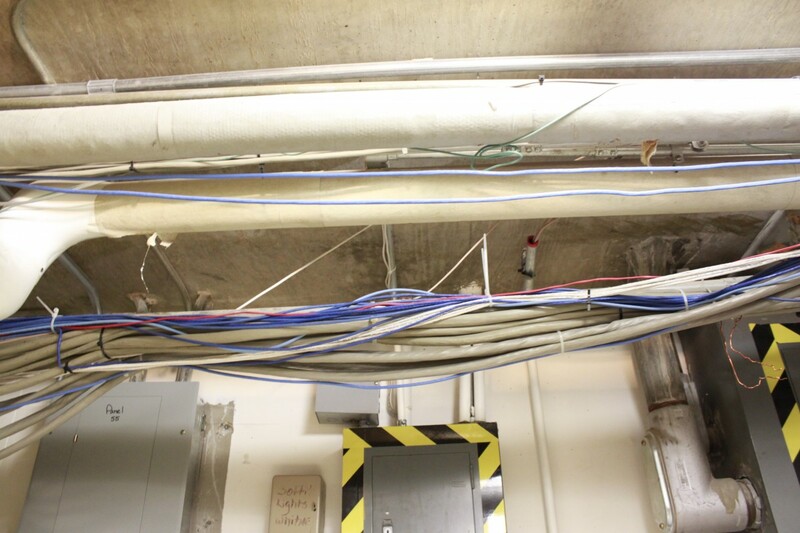 For maximum efficiency and data protection, the infrastructure of our IT network relies on up-to-date software, hardware, and cables. A LOT of cables. It's hard to make new friends but Center volunteers, members, and program attendees have a place to come and enjoy the company of others with similar interests. 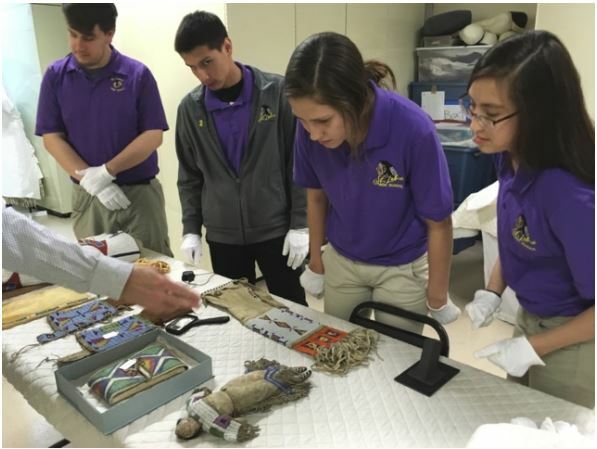 Each year, students from St. Labre Indian School in Ashland, Montana visit the Center for two days of intensive lessons from Center staff concerning curatorial practices, collections, conservation, exhibiting, and more. The Center encompasses 700,000 square feet built in 5 additions across 7 decades. You can imagine the challenge of keeping plumbing up-to-date and functioning properly. Stroll through the Draper with your eyes closed and you'll still be able to hear a beaver slapping its tail on the water, birds chirping in the trees, wolves howling and wind blowing through the aspens. 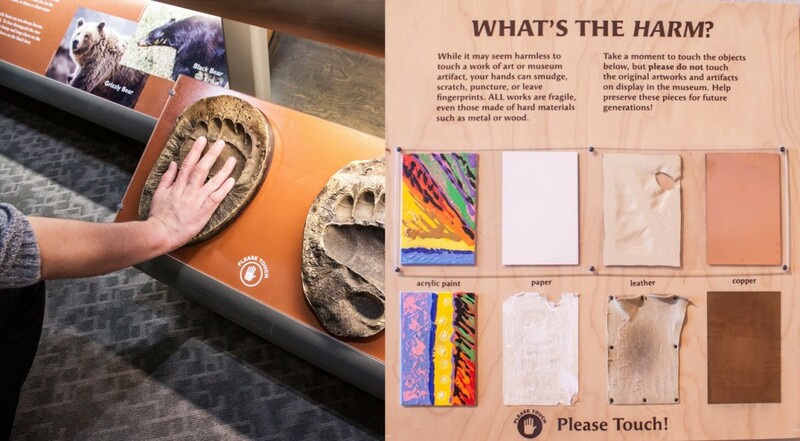 The Center offers many opportunities for tactile learners to interact with objects which are clearly marked with a "Please Touch" sign. If you're wondering why you can't touch everything, we have an explanation for that as well! Never tried buffalo? Well, you don't know what you're missing! This lean and tasty meat is available year-round in the form of Buffalo Burgers or our hearty Buffalo Chili. Don’t forget the Elk Brats! 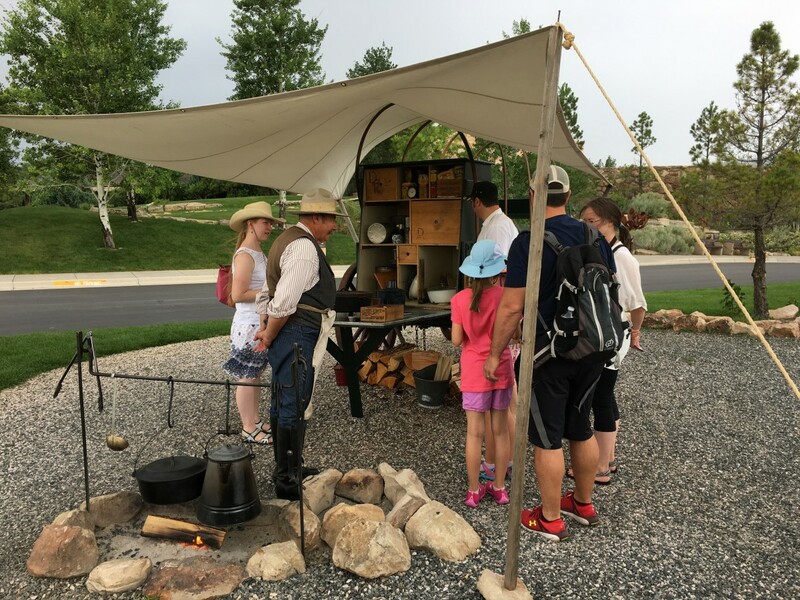 Whether it's making arrowheads, going on a trail ride, or sketching the Scout at the back of the Whitney, children and adults have many opportunities to experience the West firsthand. 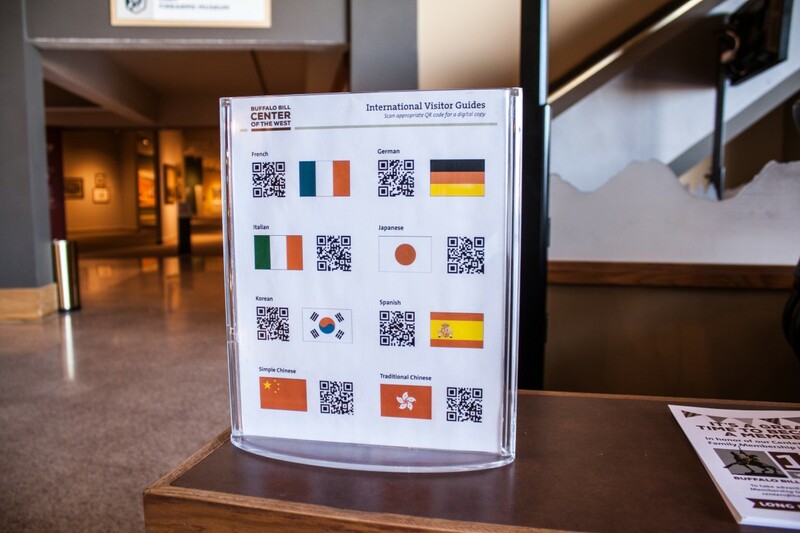 The Draper musuem has a unique passport and stamp system for our visitors to complete on their journey through the many climes of the Greater Yellowstone Ecosystem the musuem showcases. Can you collect them all? 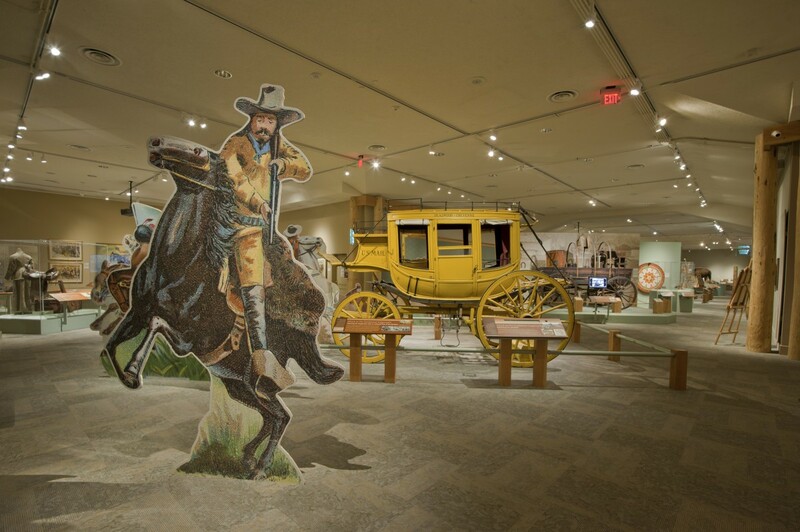 The Buffalo Bill Musuem is dedicated to the life, actions, and times of William F. Cody, from his beginnings in the Army through his career as a world-traveling entertainer with the Wild West show and developer of the town of Cody, Wyoming and surrounding area. 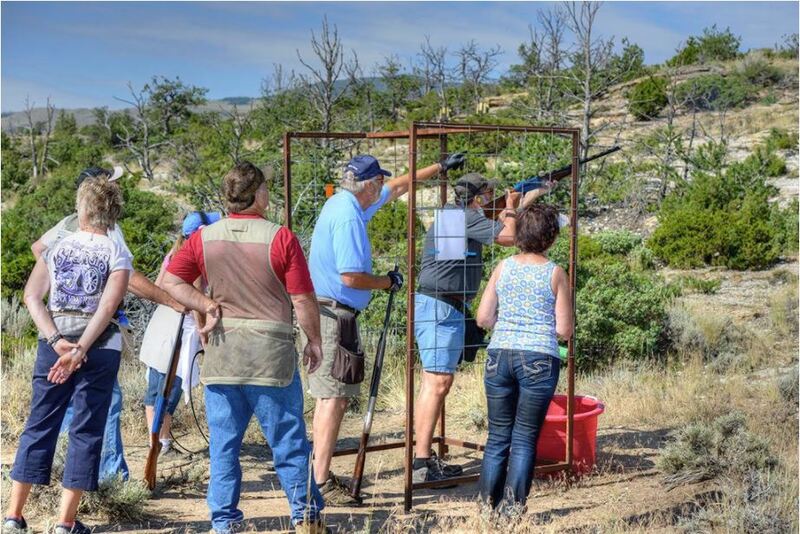 The Buffalo Bill Invitational Shootout offers a premier sport shooting competition and fundraiser event for the Center and the local shooting complex. A fun time, and friendly competition for all who wish to participate! 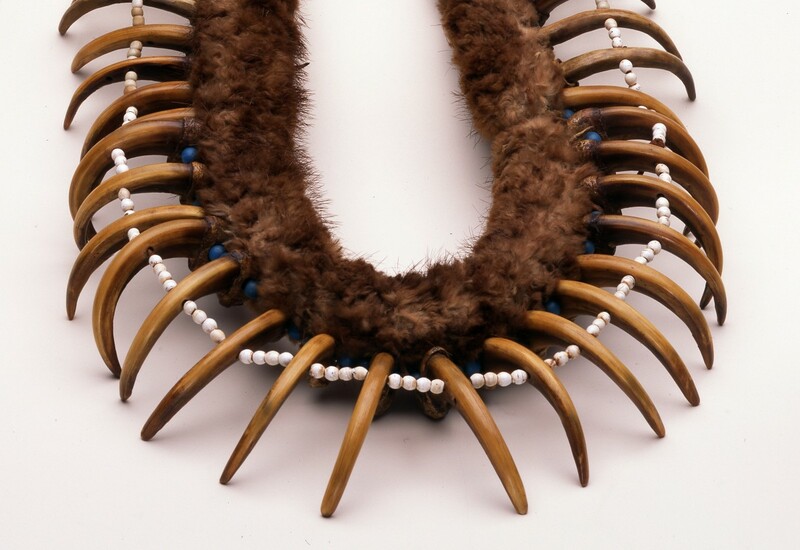 This bear claw necklace, one of several from our collections, is made from thirty three bear claws, fur, leather, abalone, trade cloth, and beads. Bear claw necklaces were worn by tribal men and reflected their strength. This flight jacket was worn by Earhart during her trans-atlantic flight. The jacket is a standout piece of aviation history and also has a unique connection to the west! 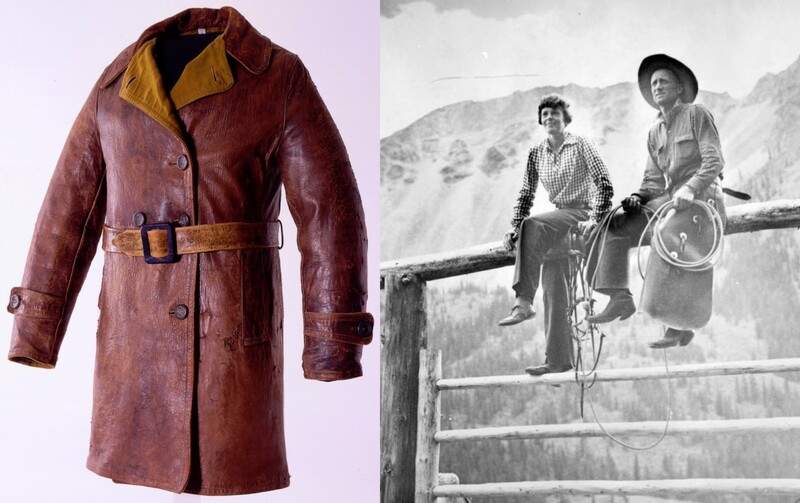 Earhart gave this jacket to the Dunrud Family of Meeteetse, Wyoming during a visit to their ranch in the mid-1930's. This artifact was then donated to the Center in 1966. About 15 interns join us each summer to contribute skills and increase knowledge in the areas of Conservation, Collections Management, Curatorial, Education, Accounting, Public Relations, and more. 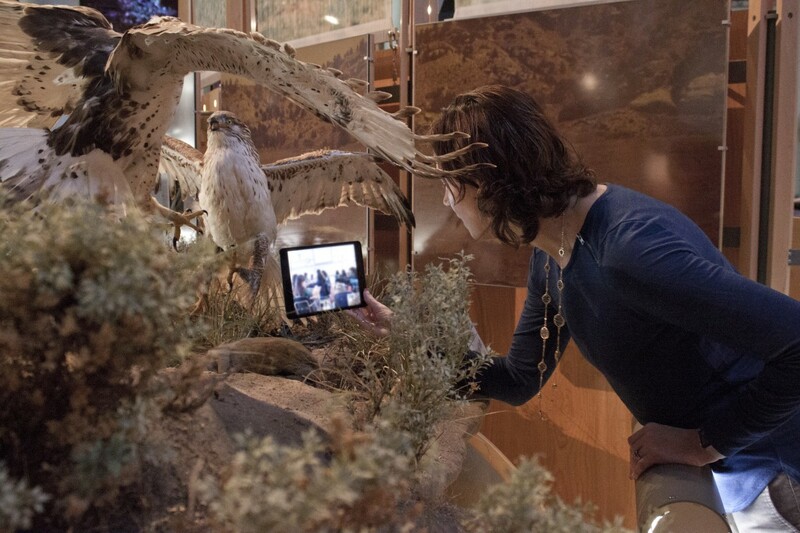 Your gift helps train the next generation of museum professionals! We will do our best to notify the family of your kindness. If you have any questions or concerns, please contact us at 307-578-4008 or [email protected]. Our office is open Monday-Friday 9-5 mountain time.